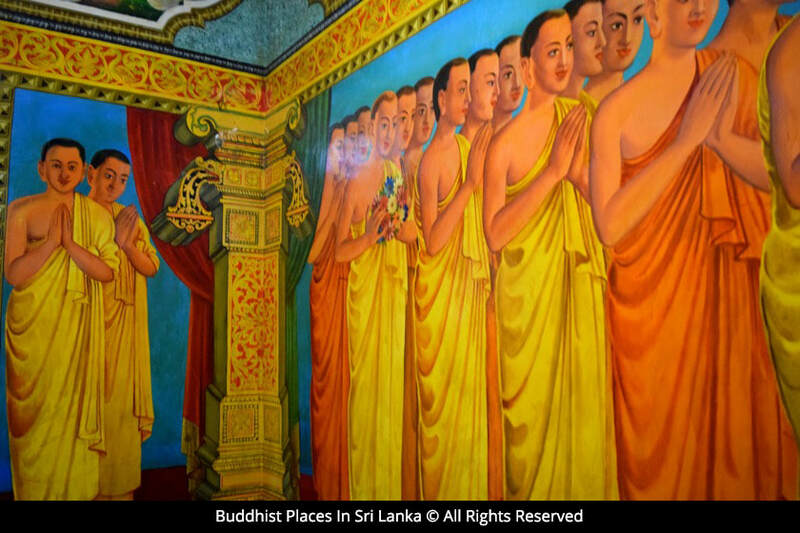 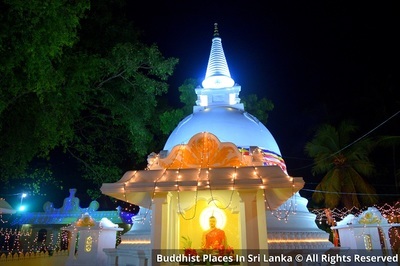 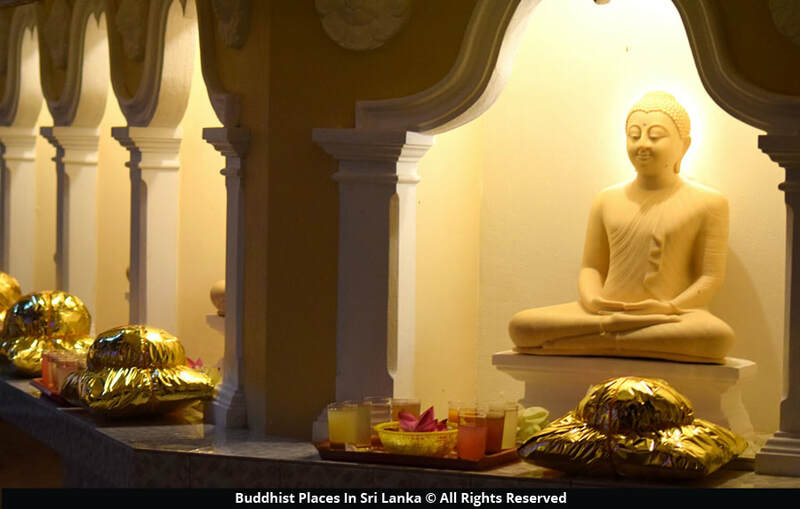 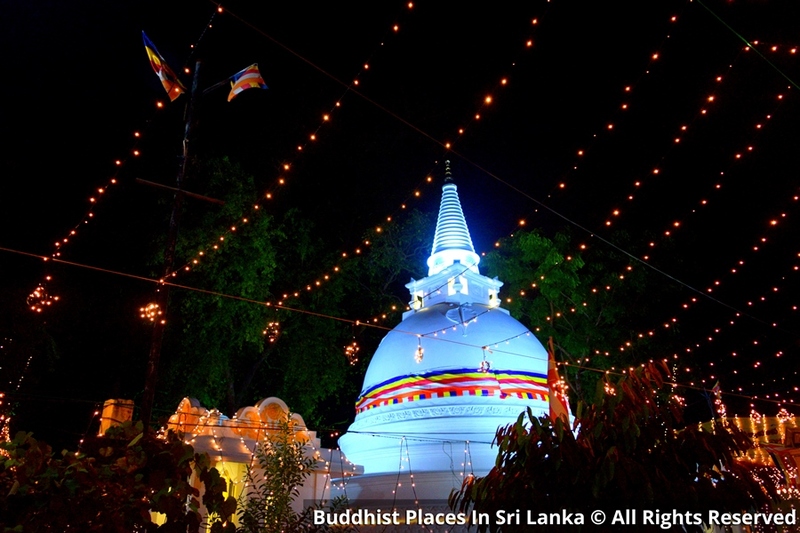 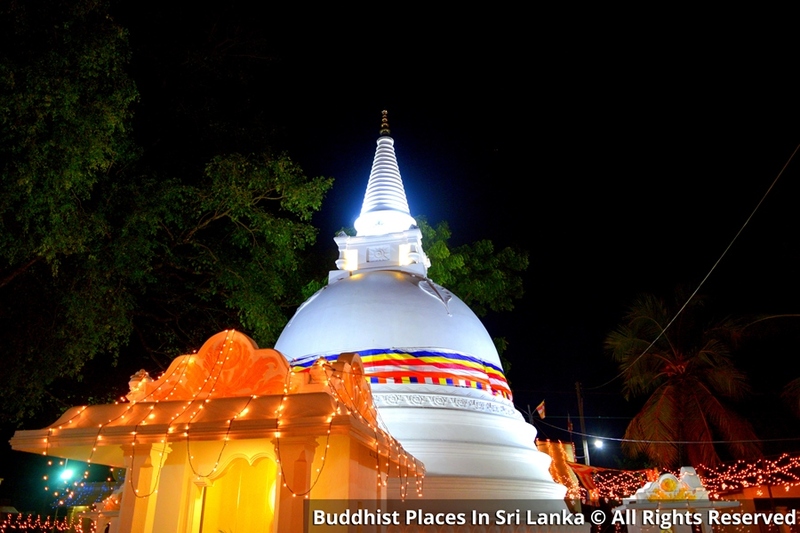 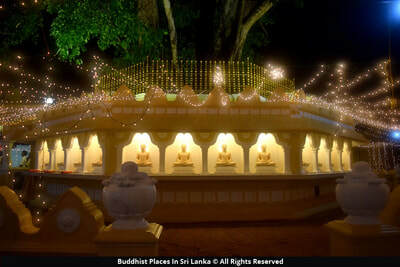 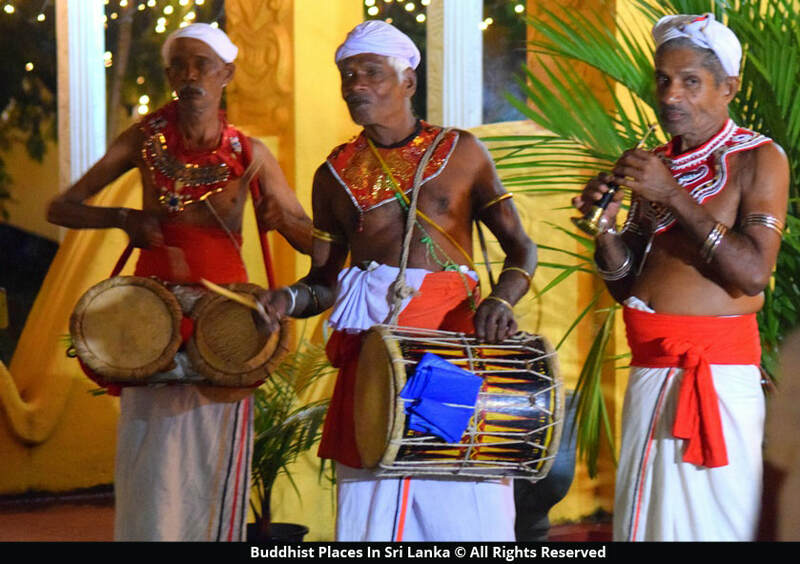 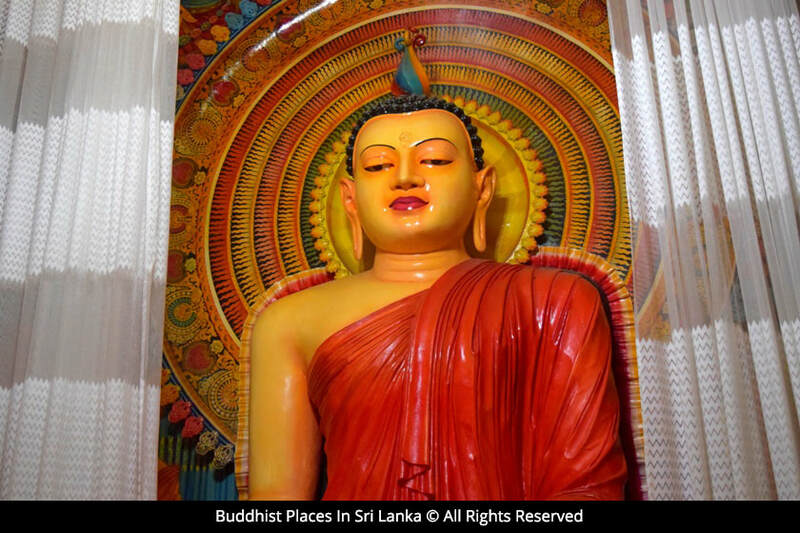 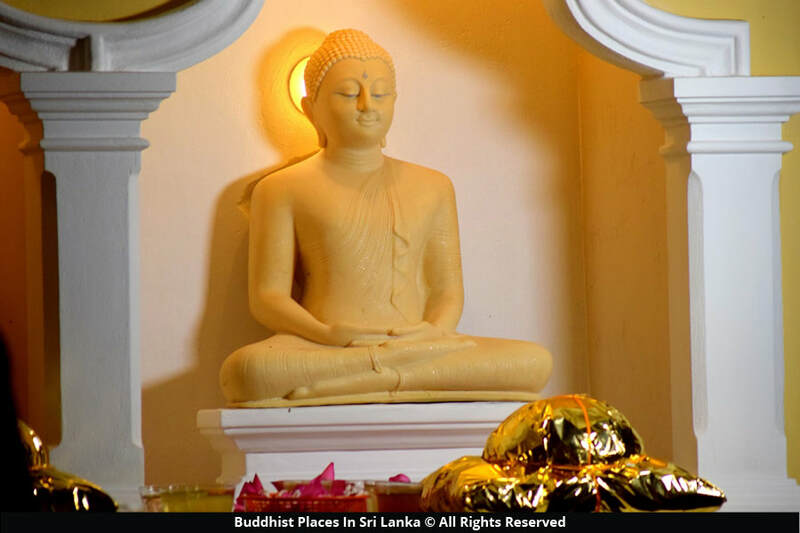 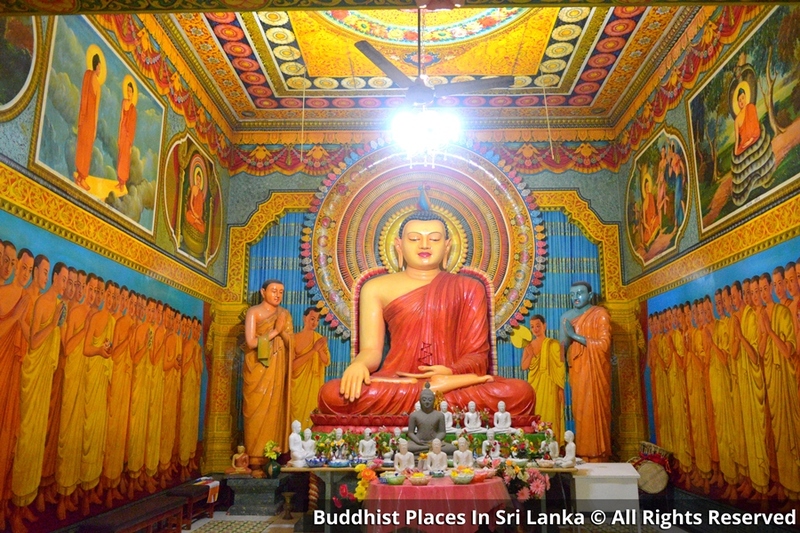 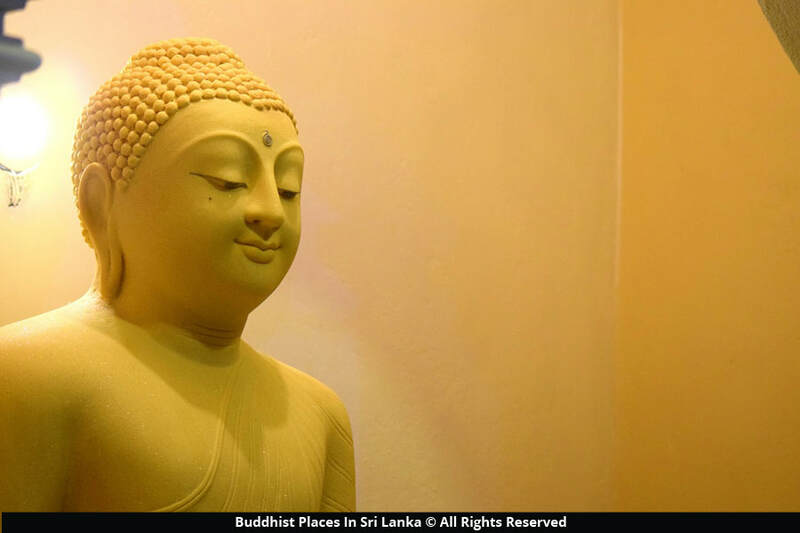 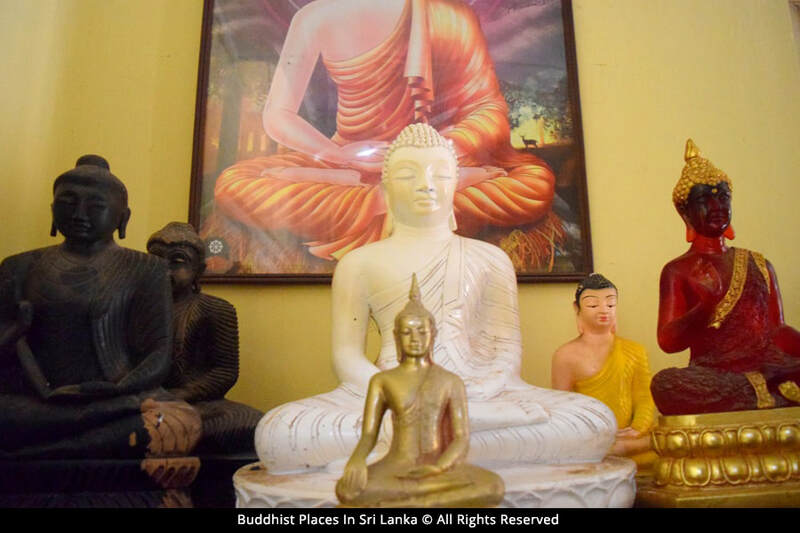 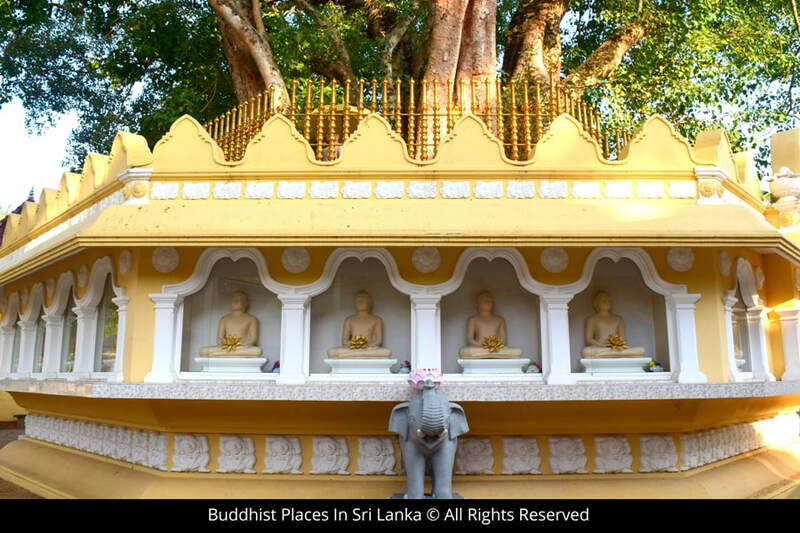 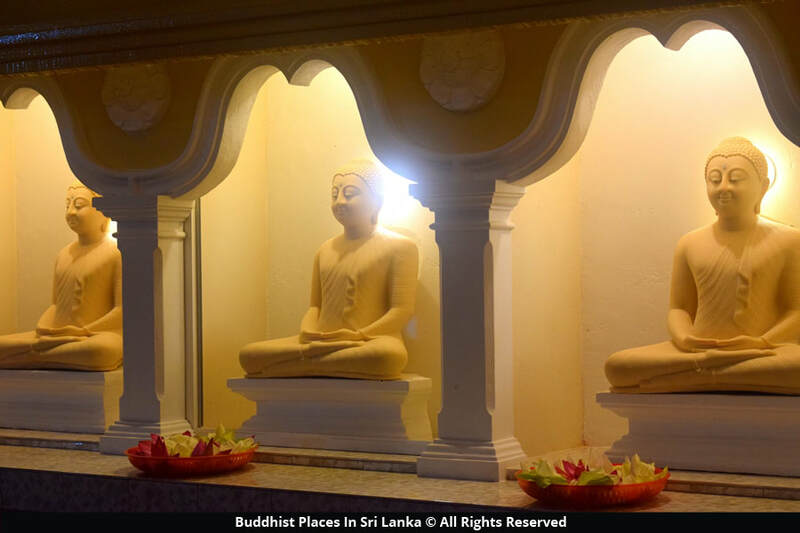 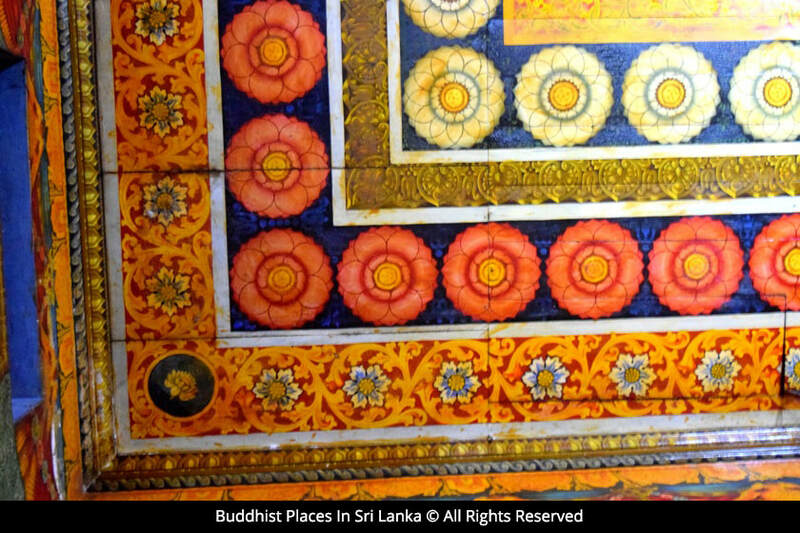 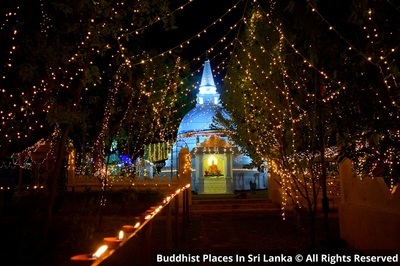 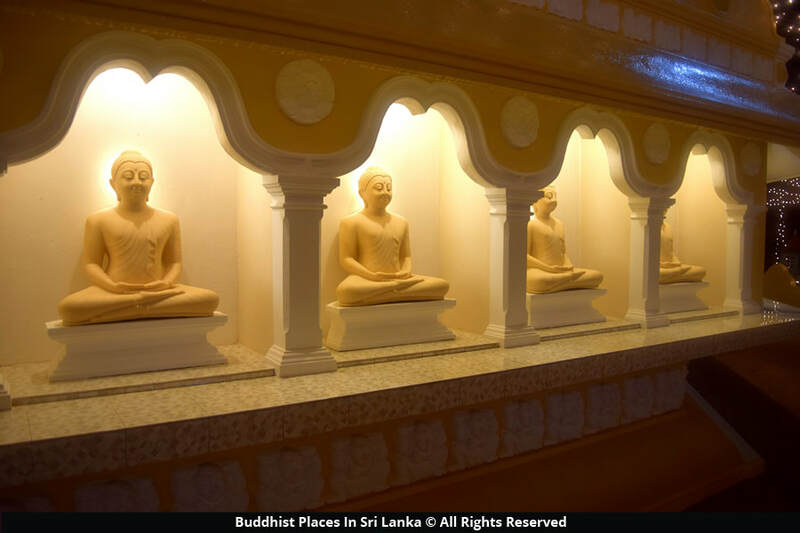 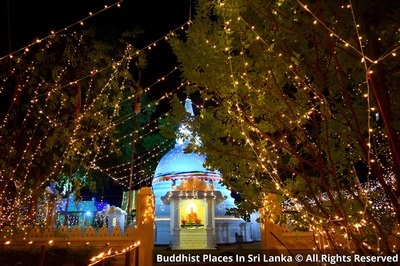 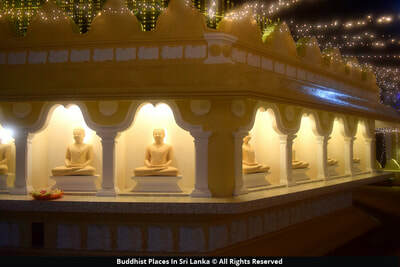 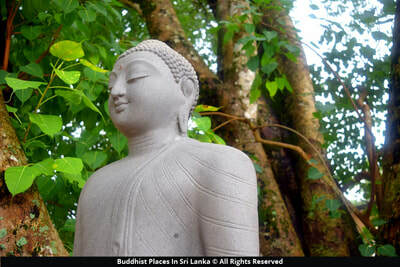 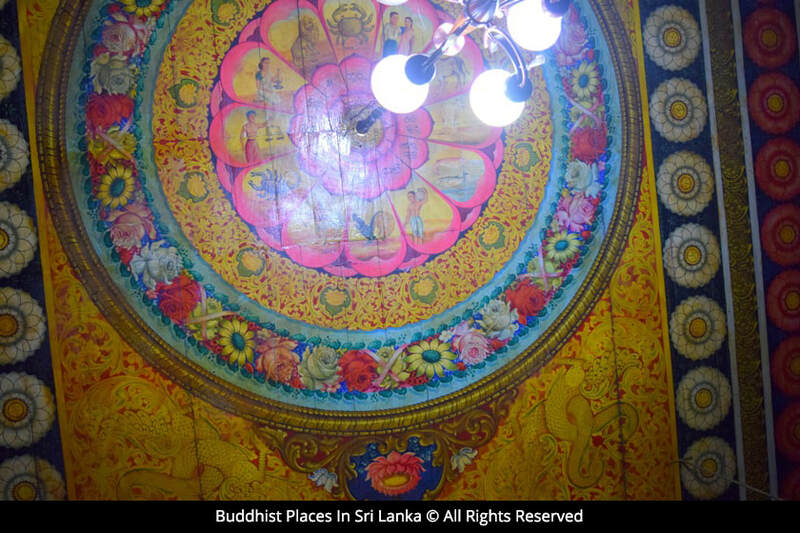 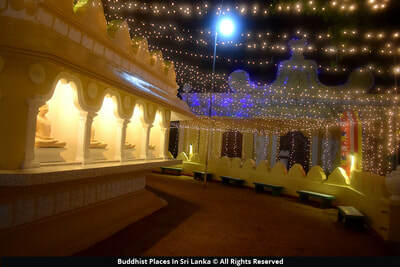 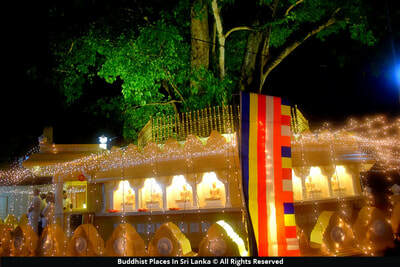 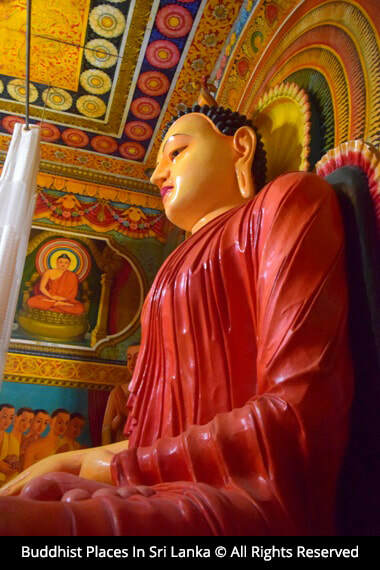 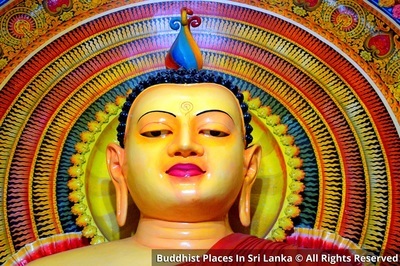 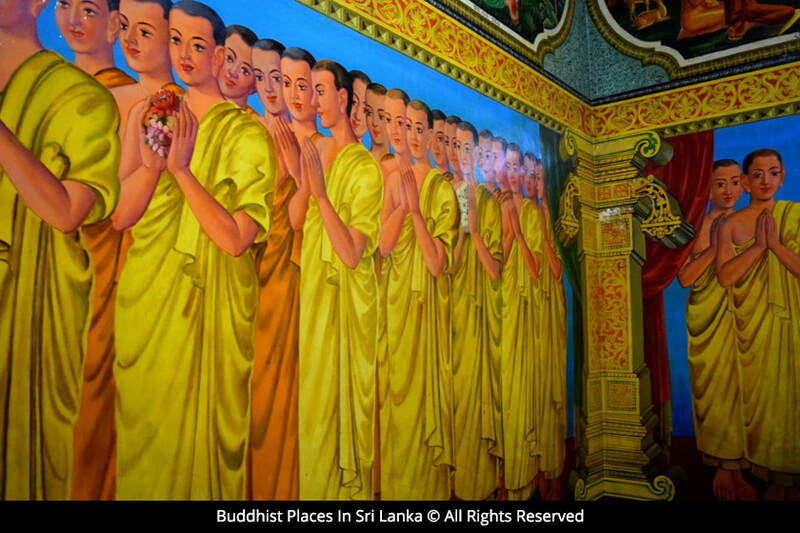 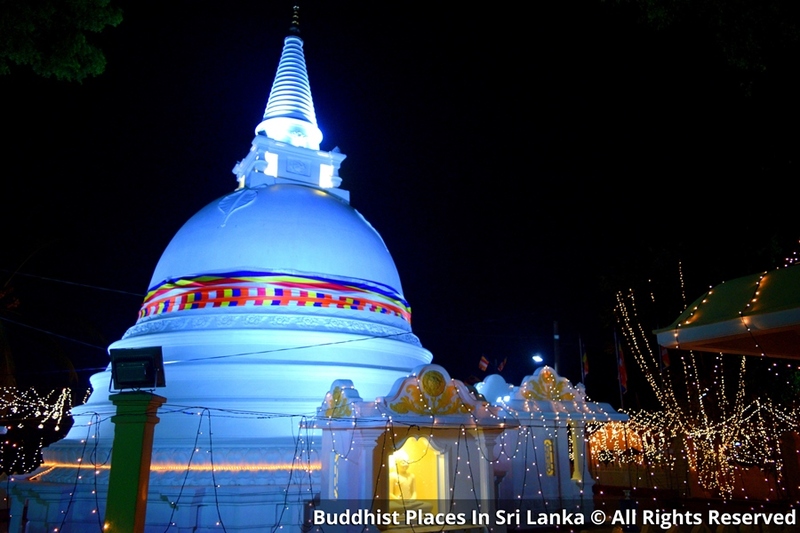 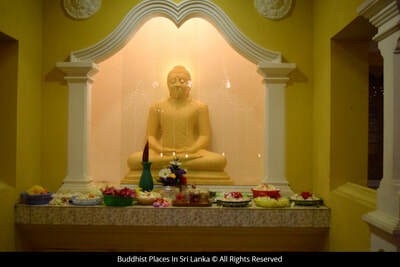 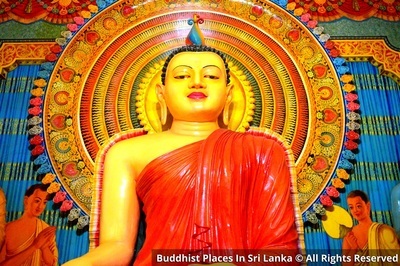 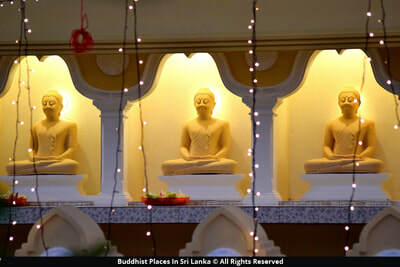 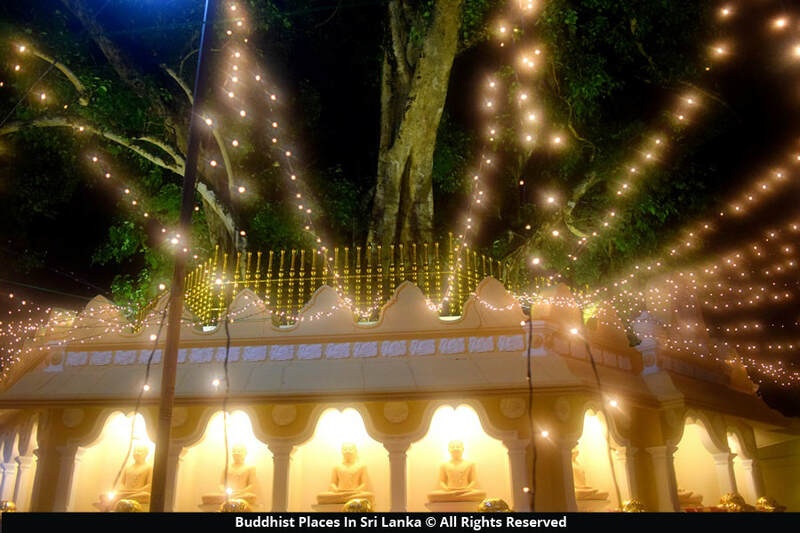 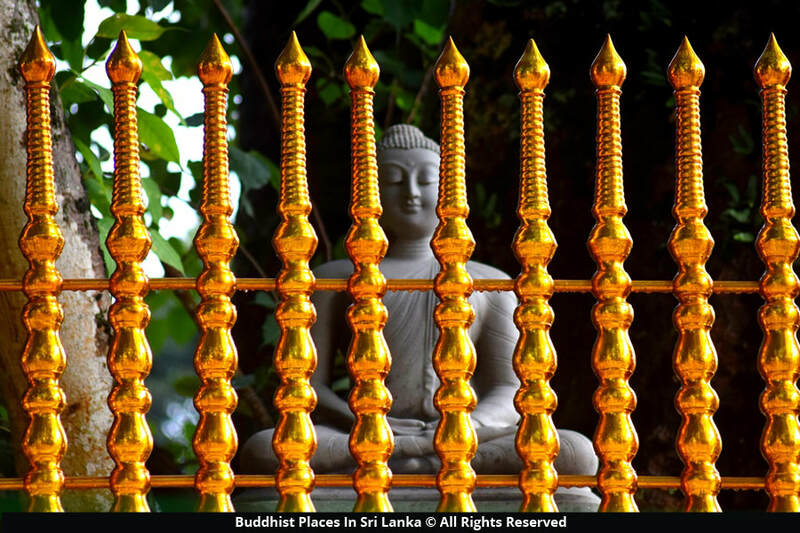 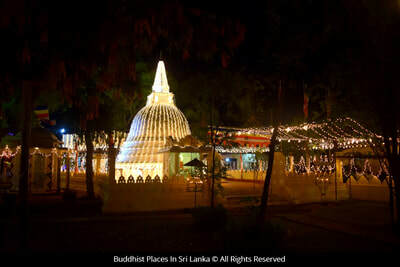 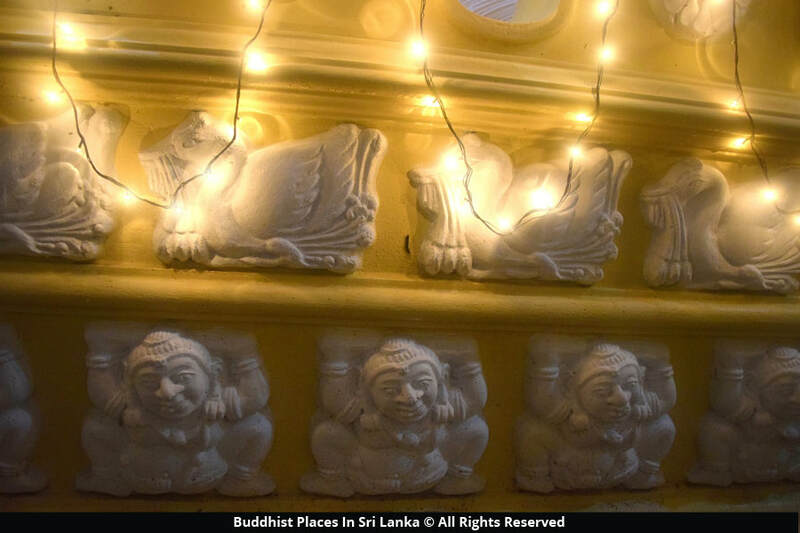 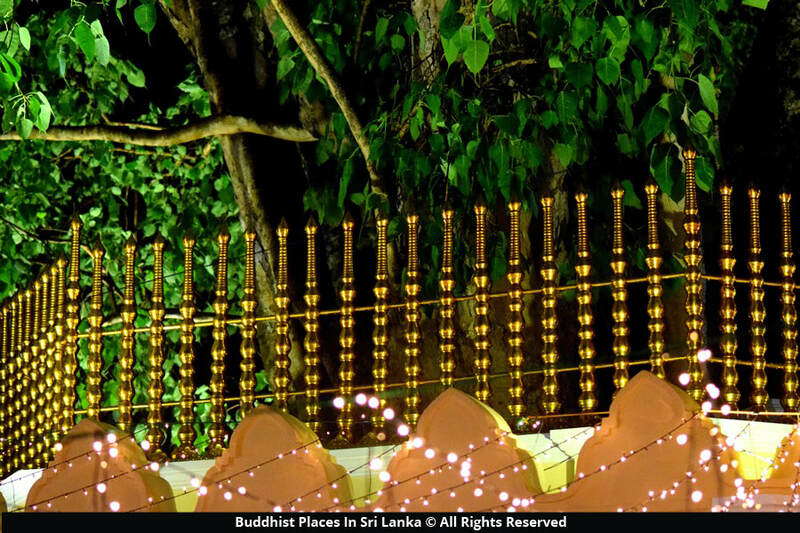 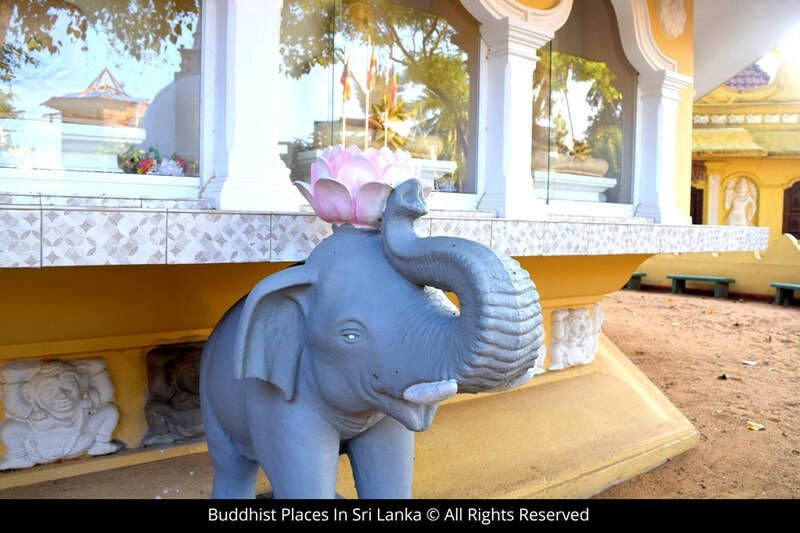 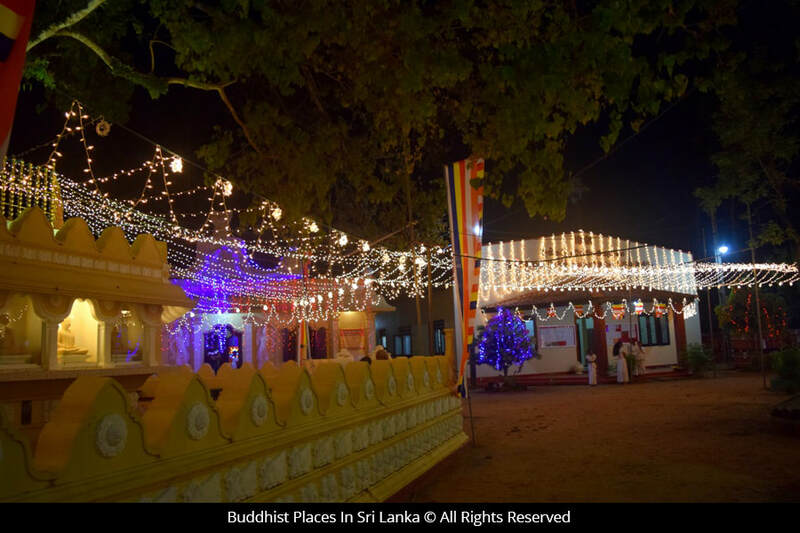 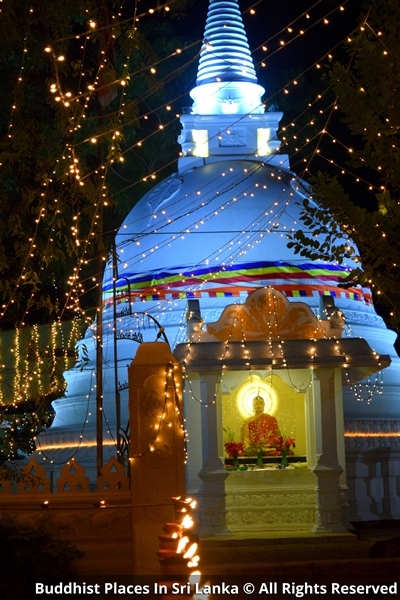 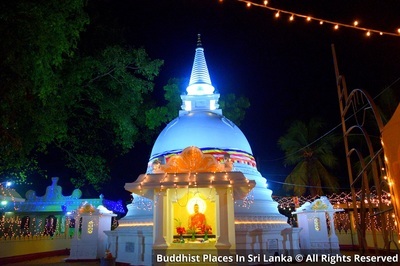 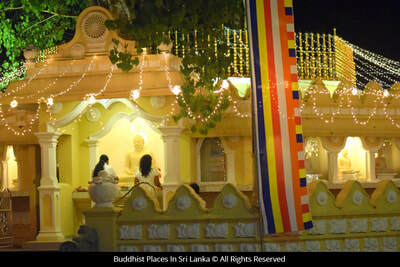 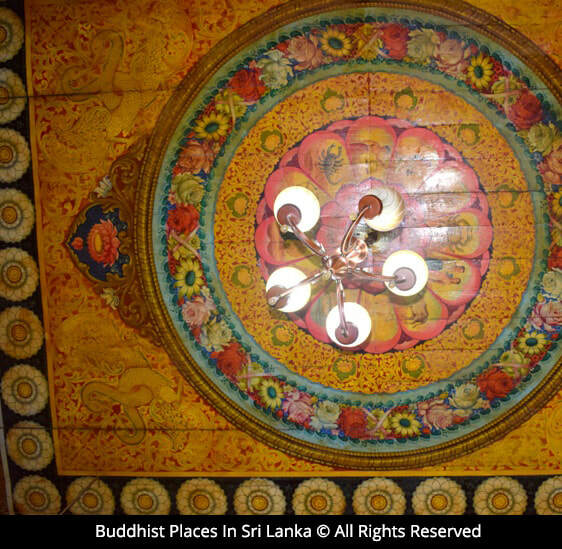 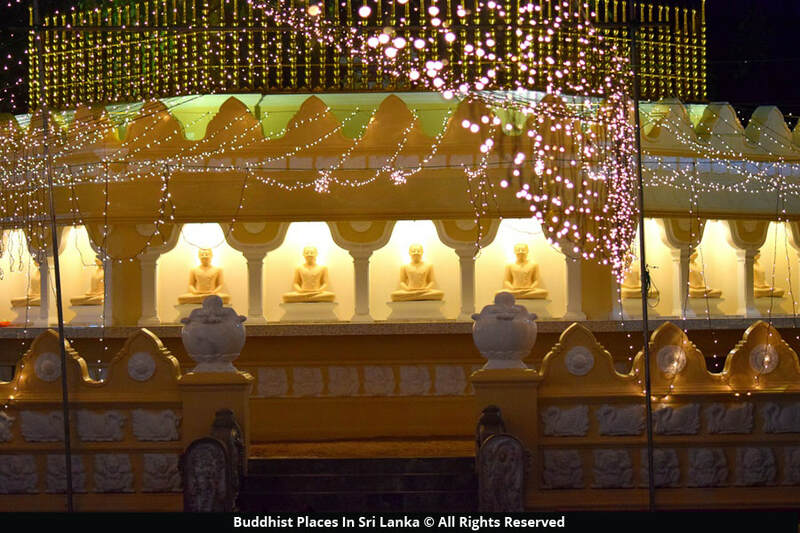 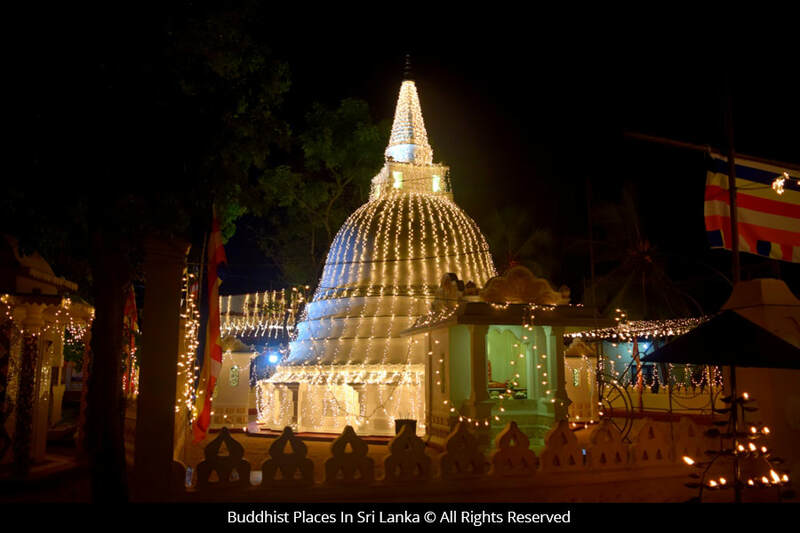 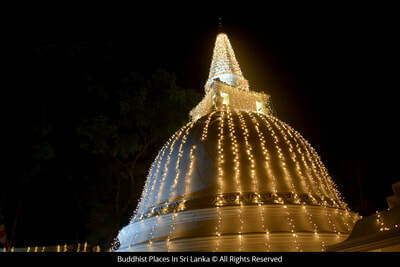 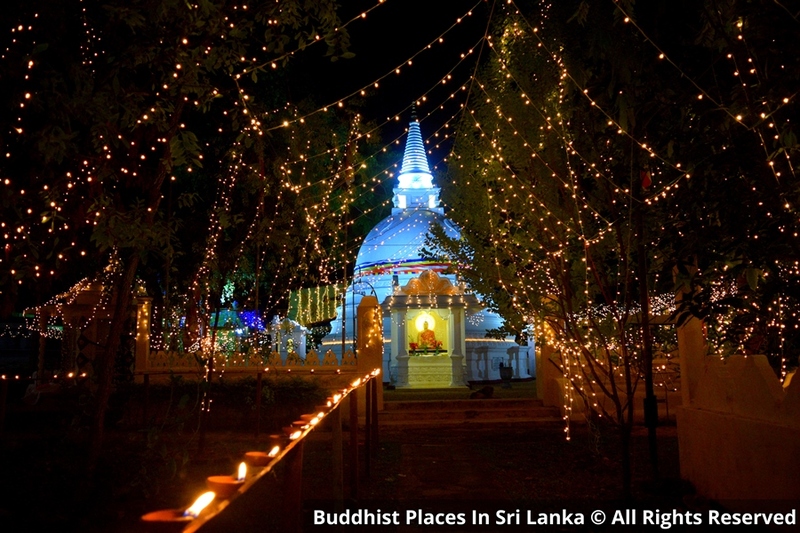 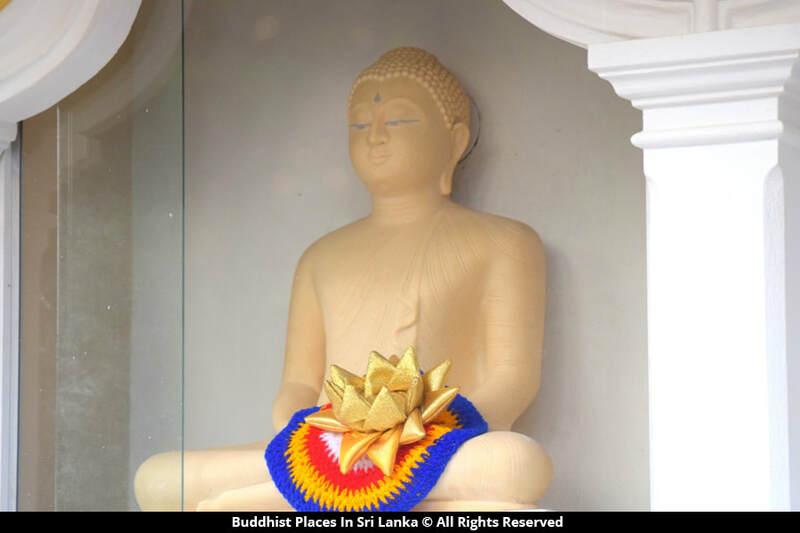 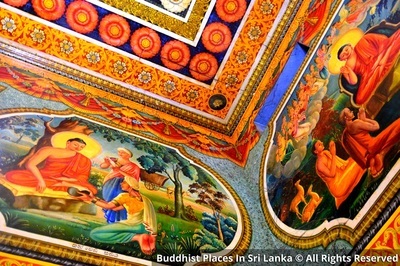 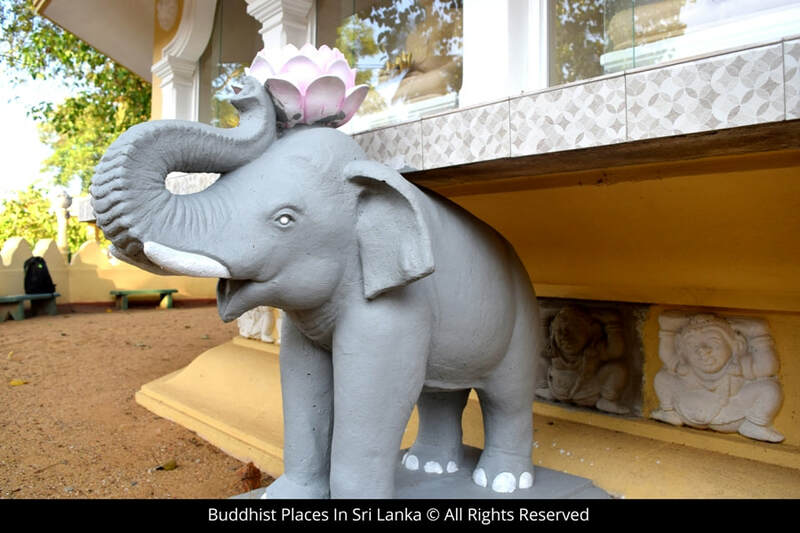 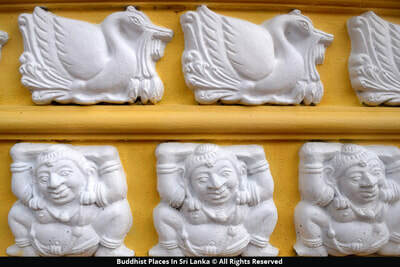 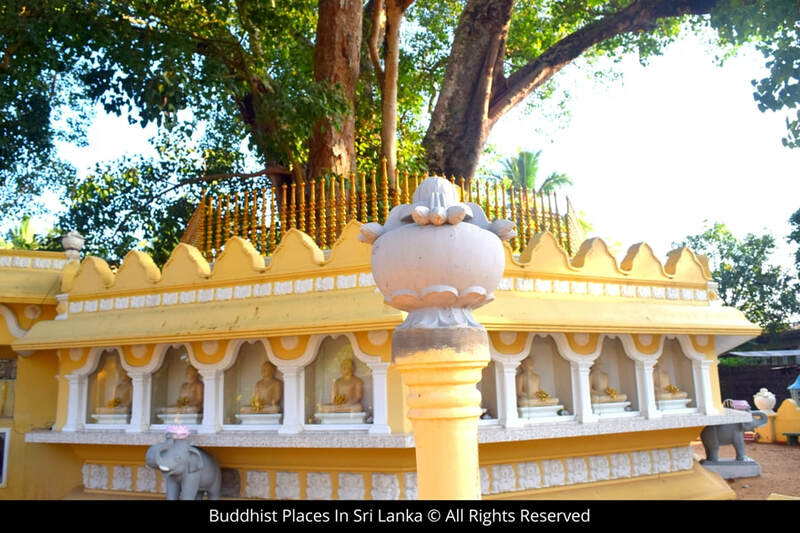 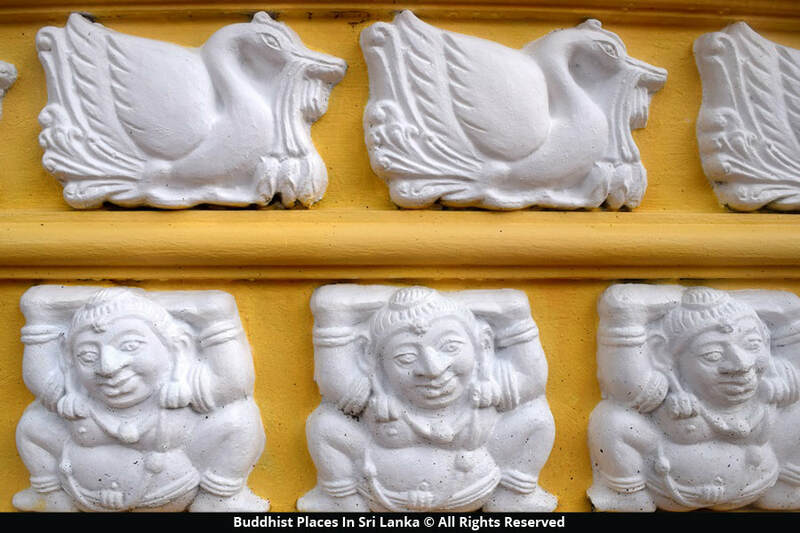 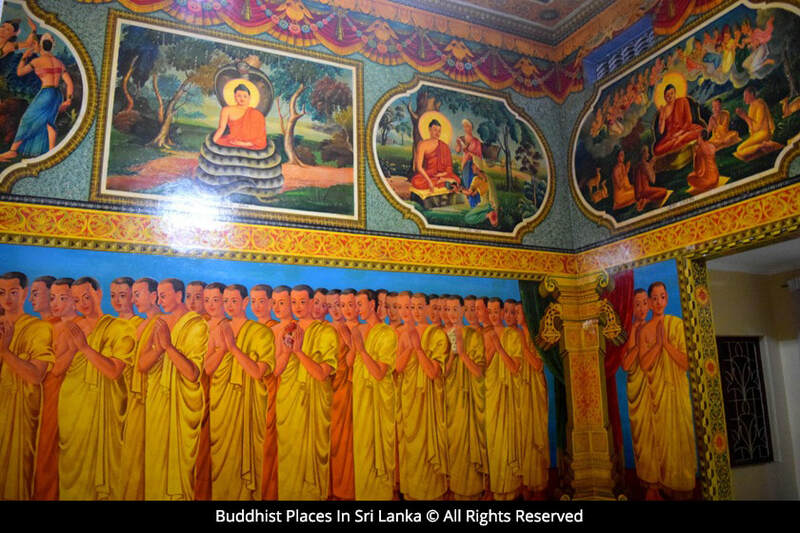 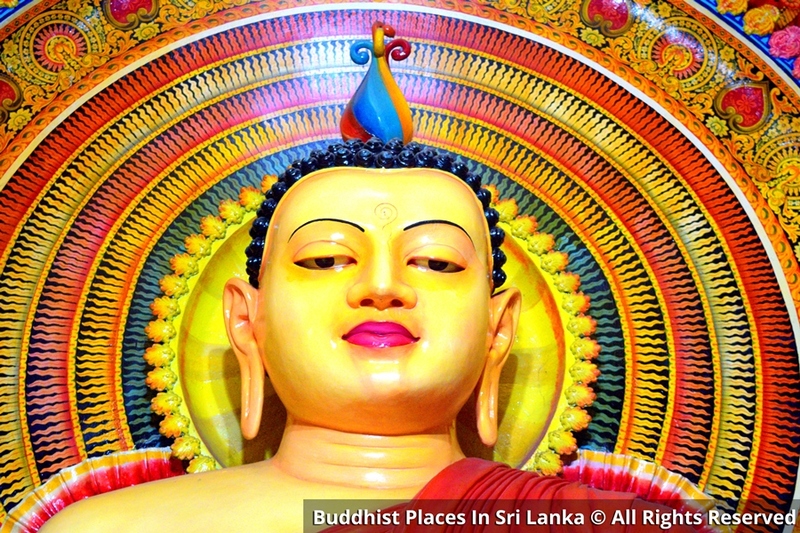 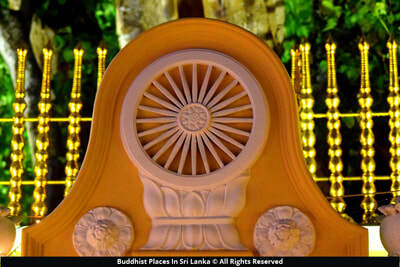 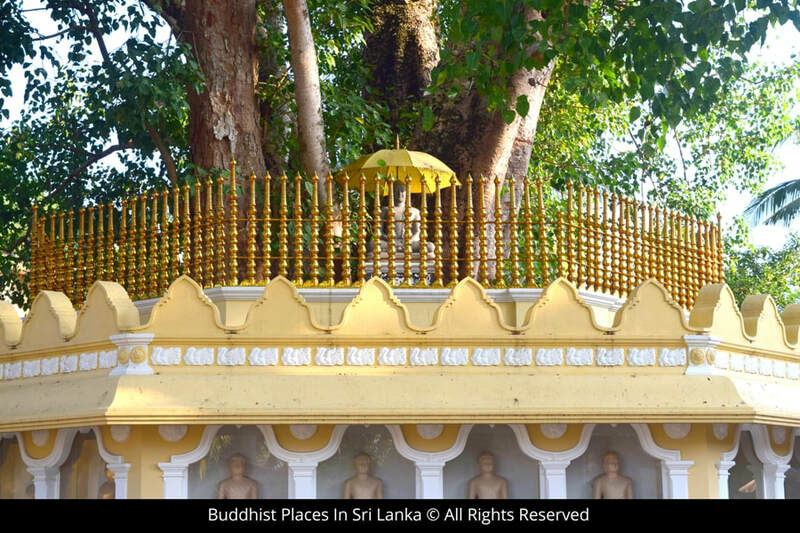 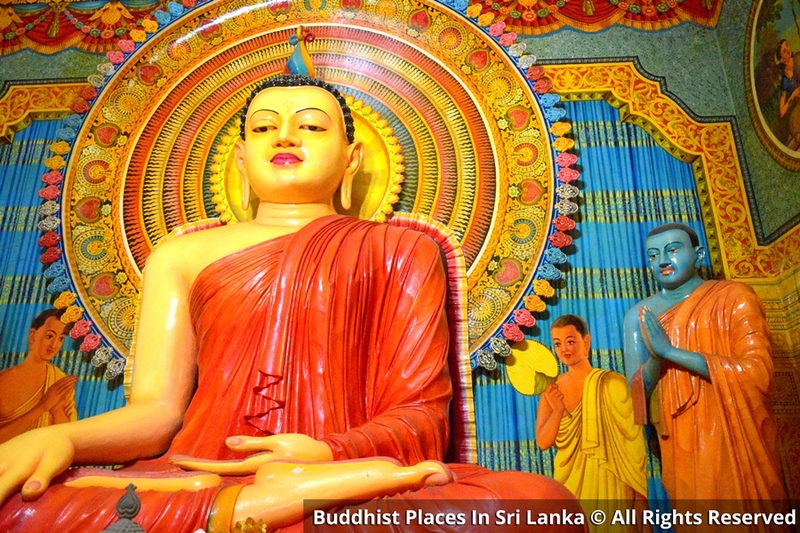 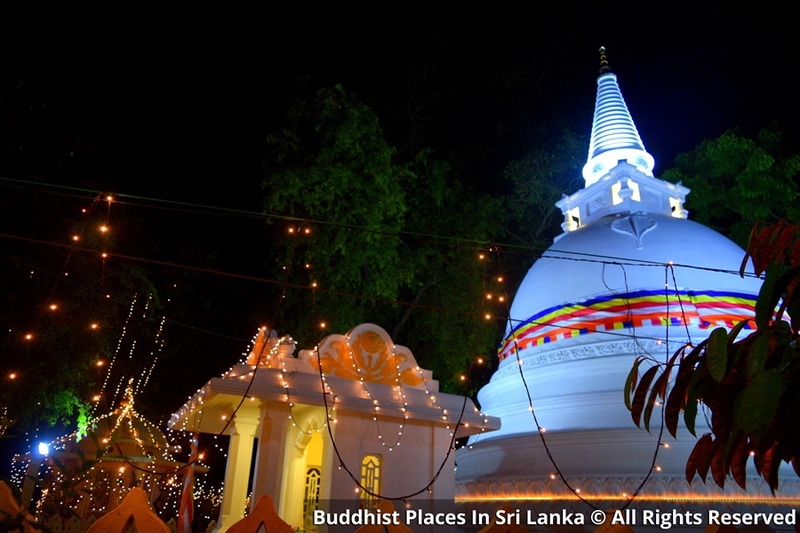 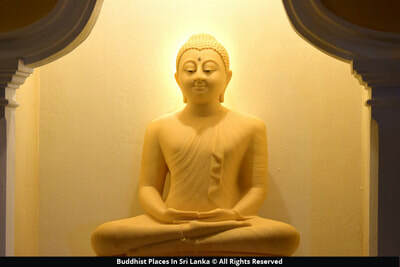 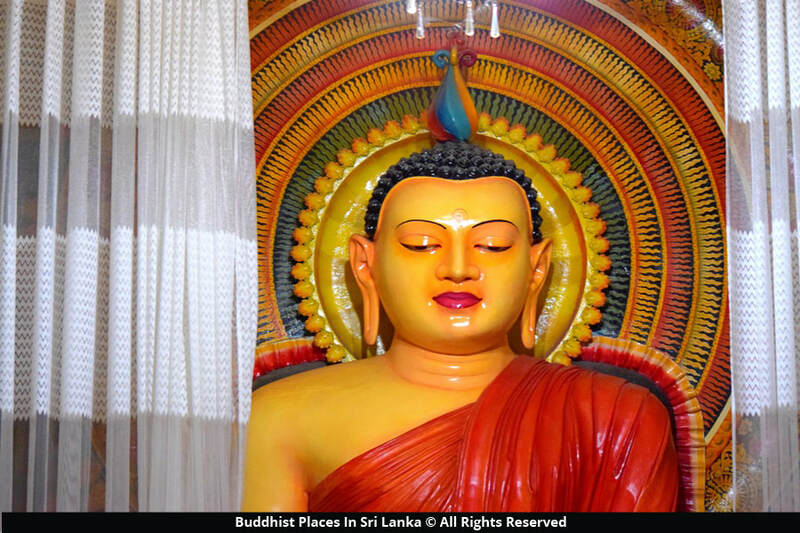 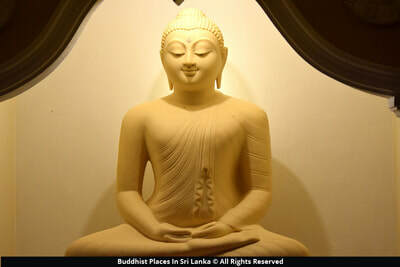 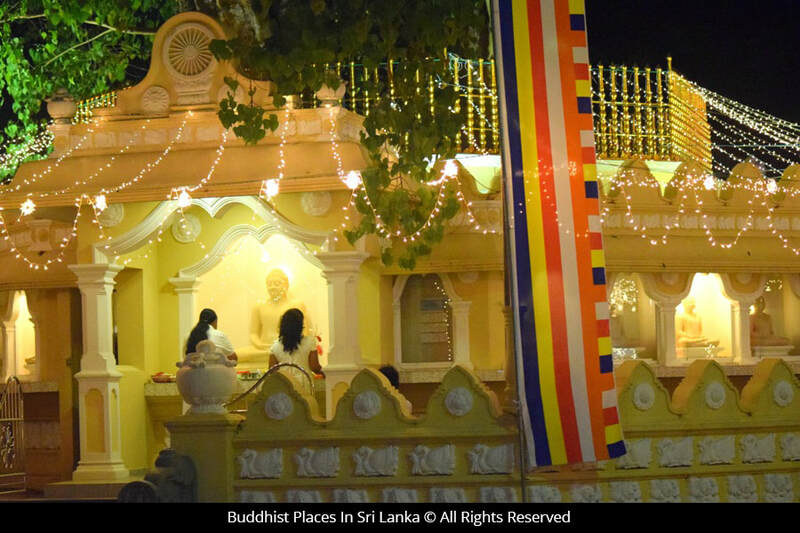 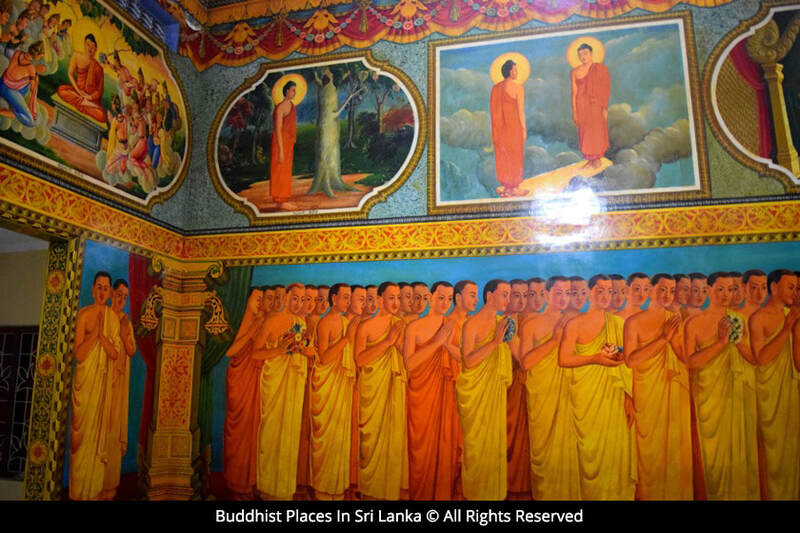 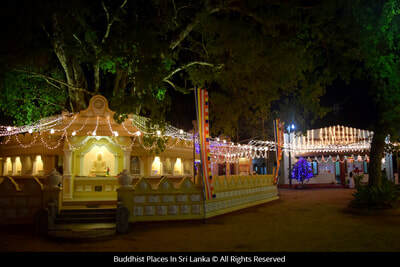 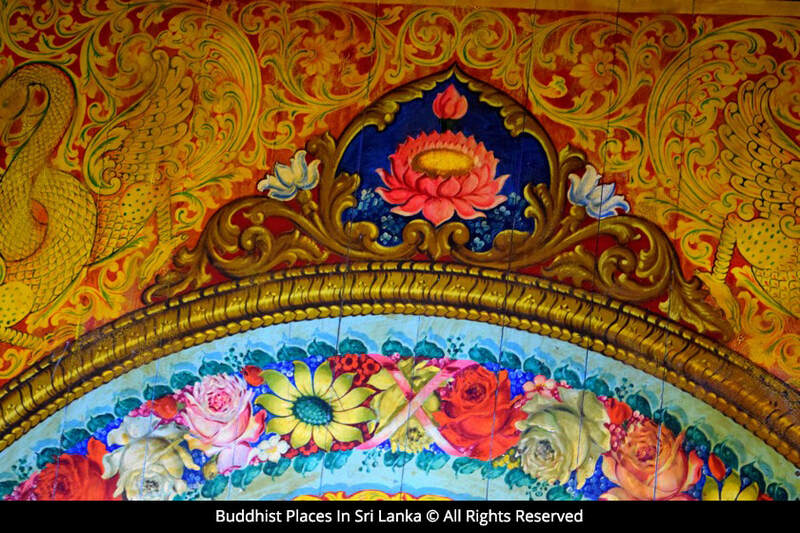 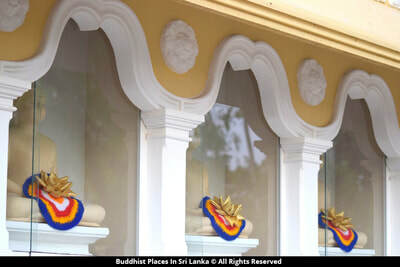 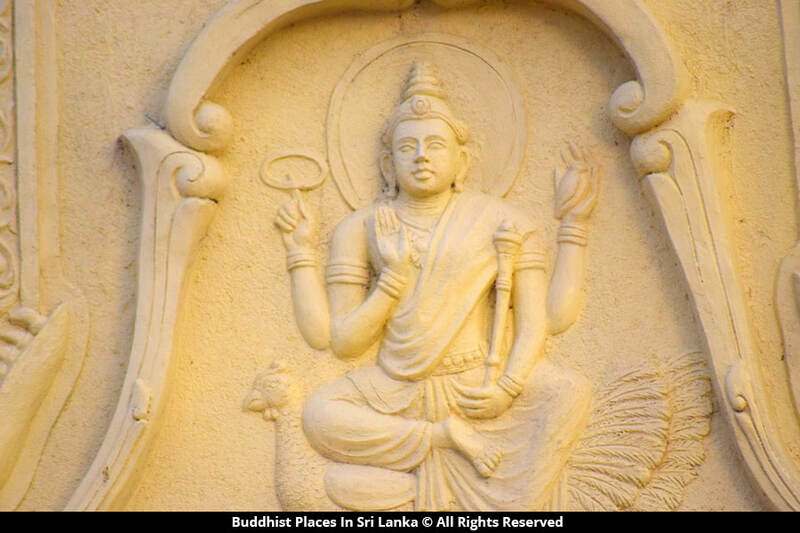 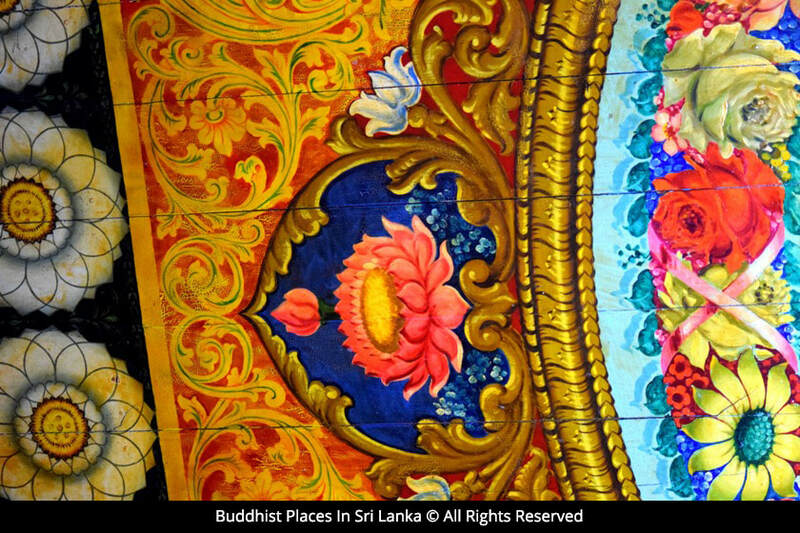 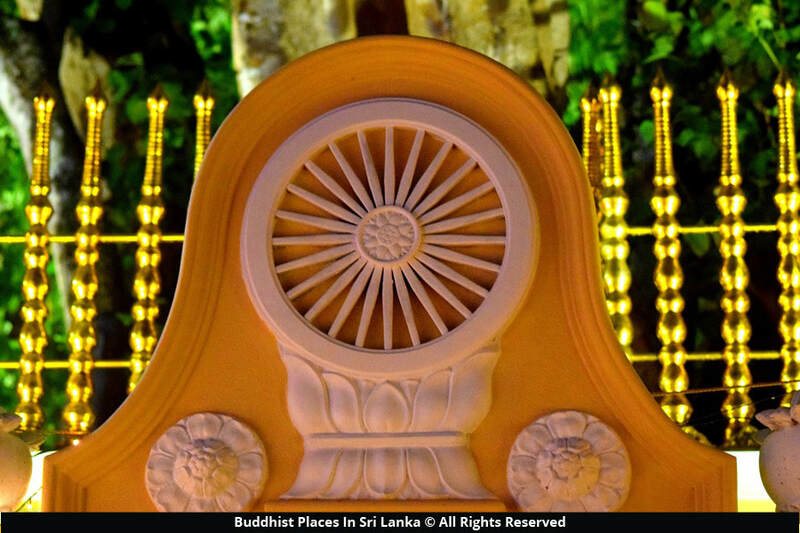 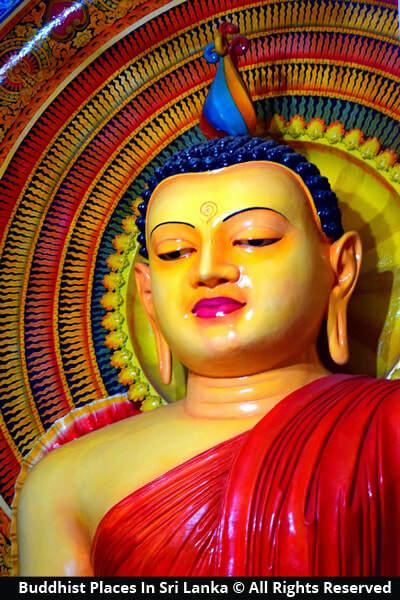 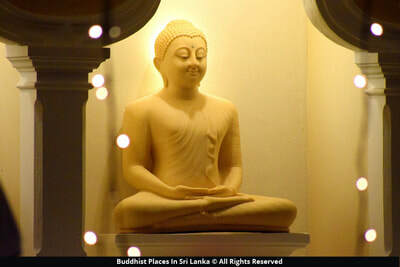 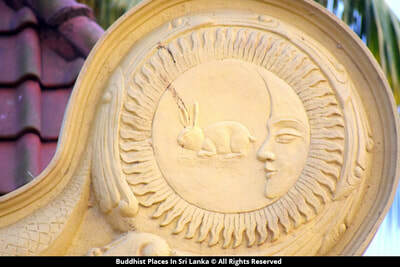 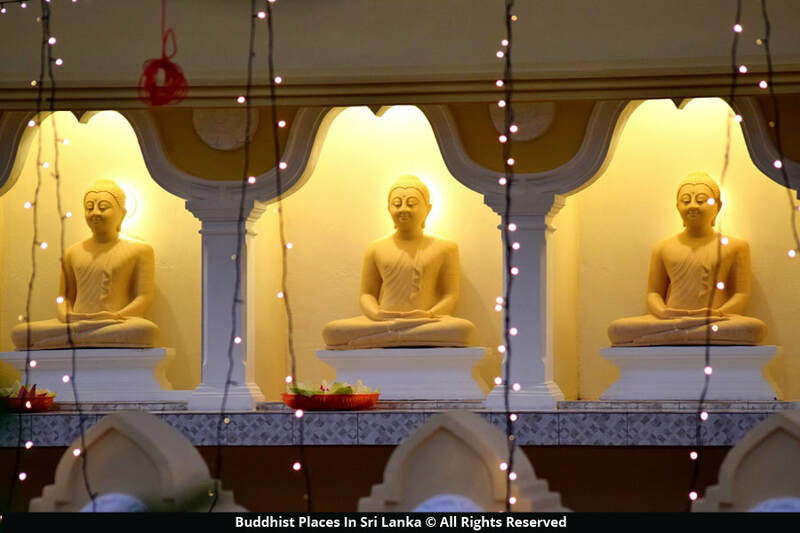 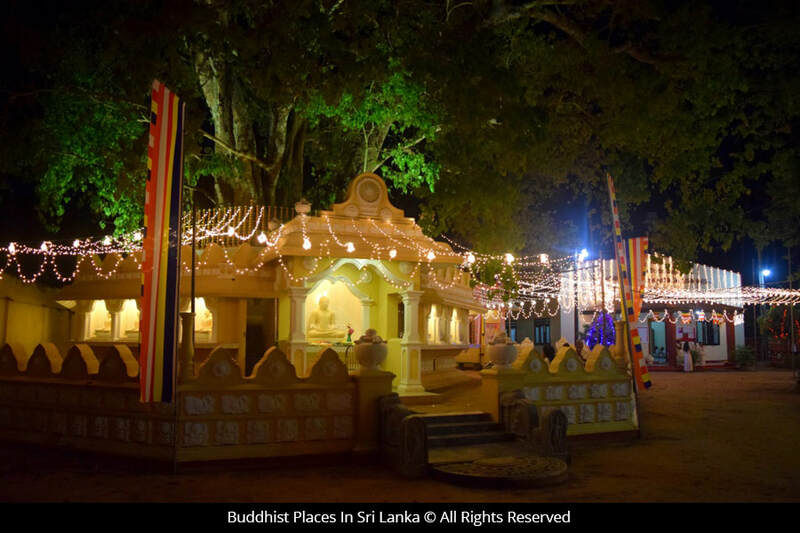 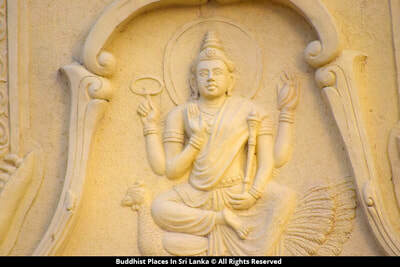 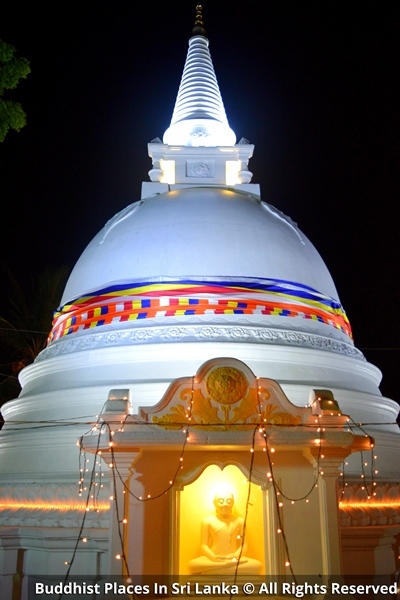 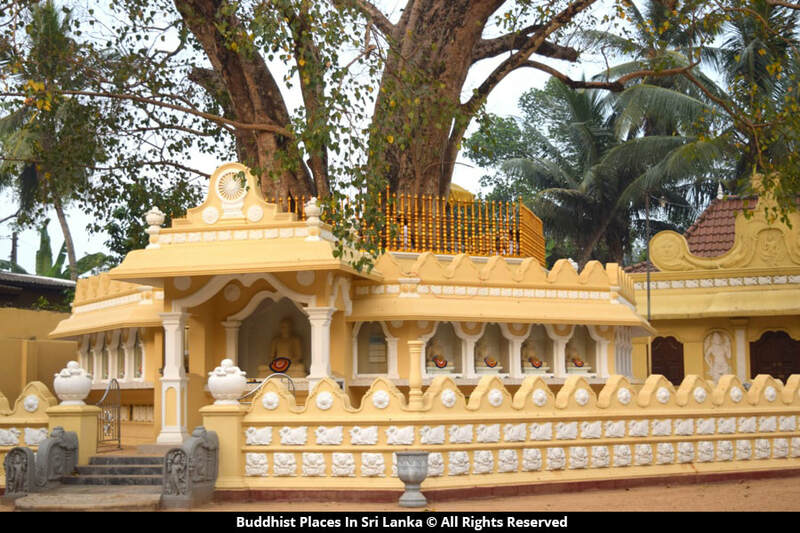 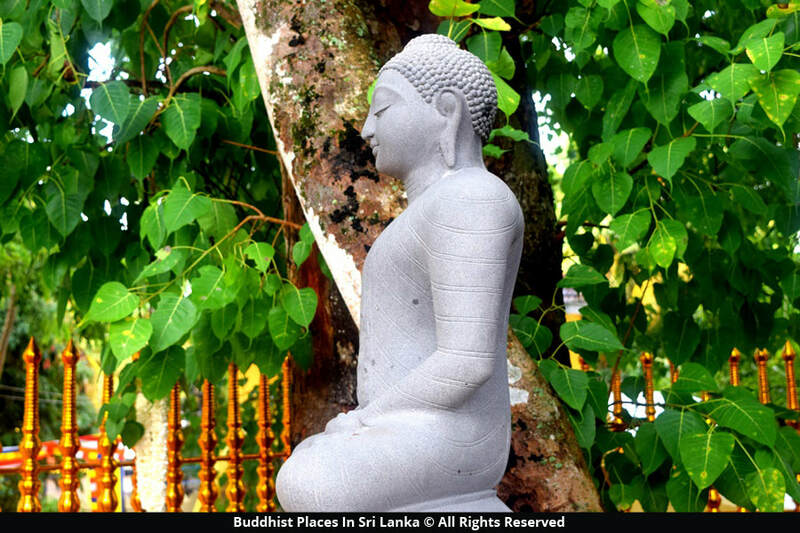 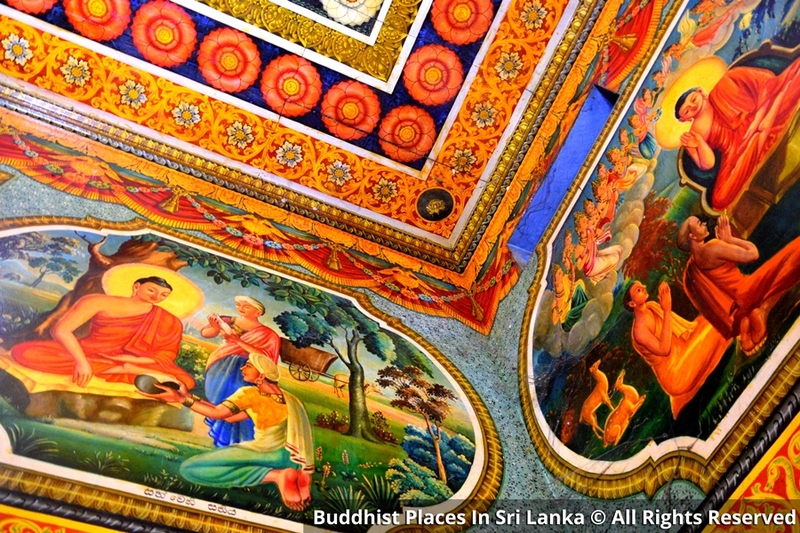 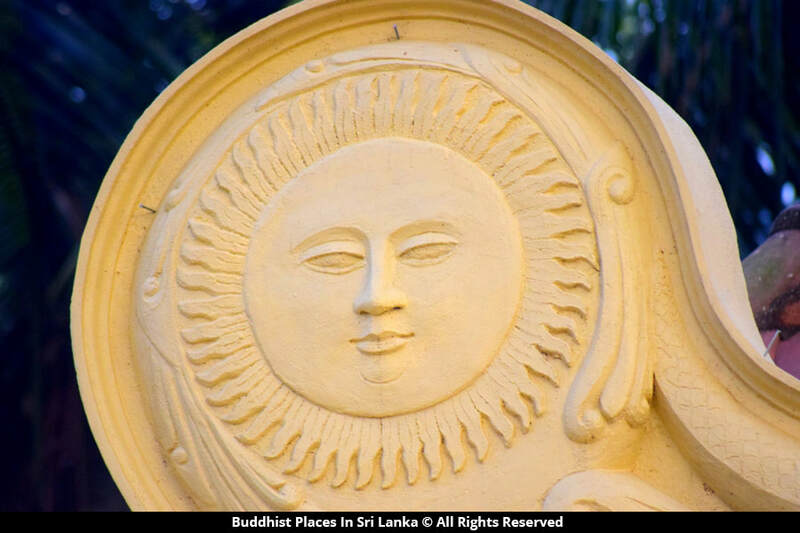 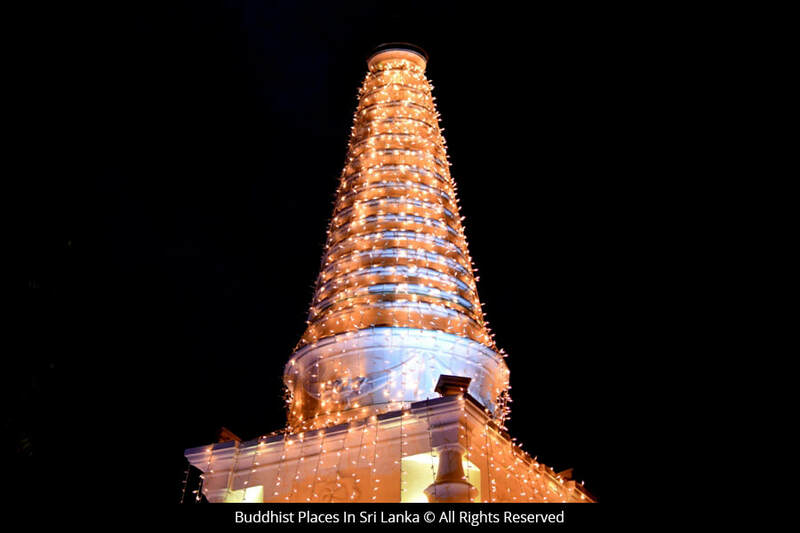 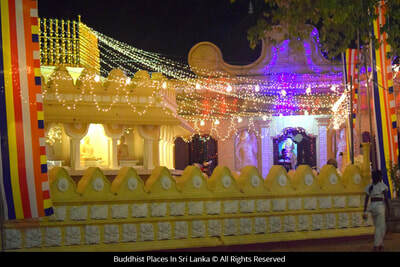 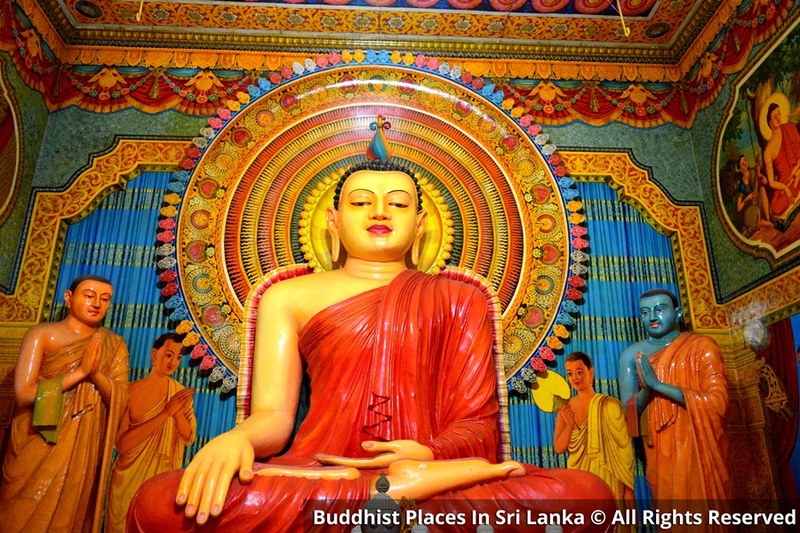 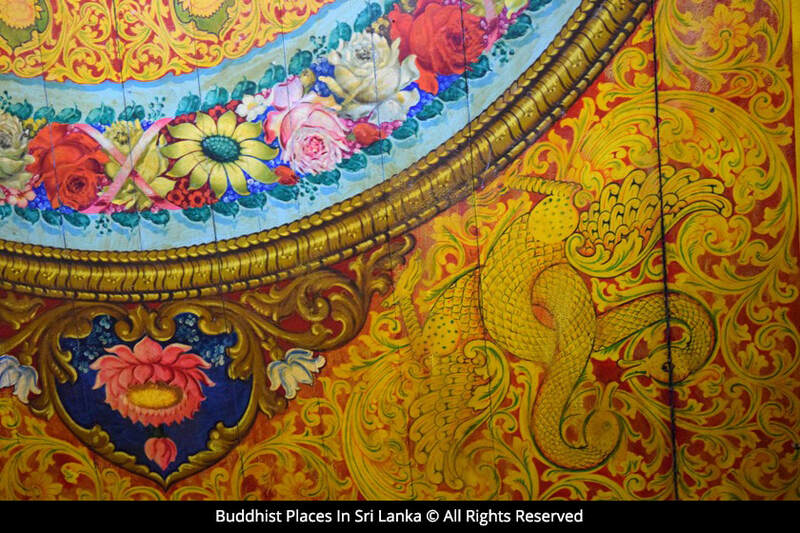 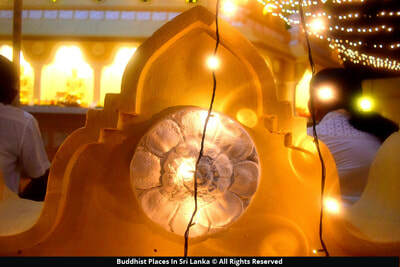 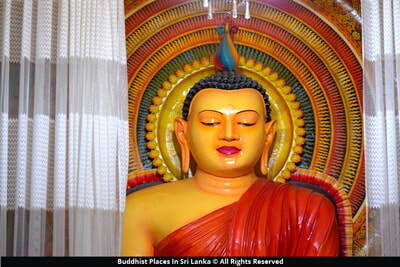 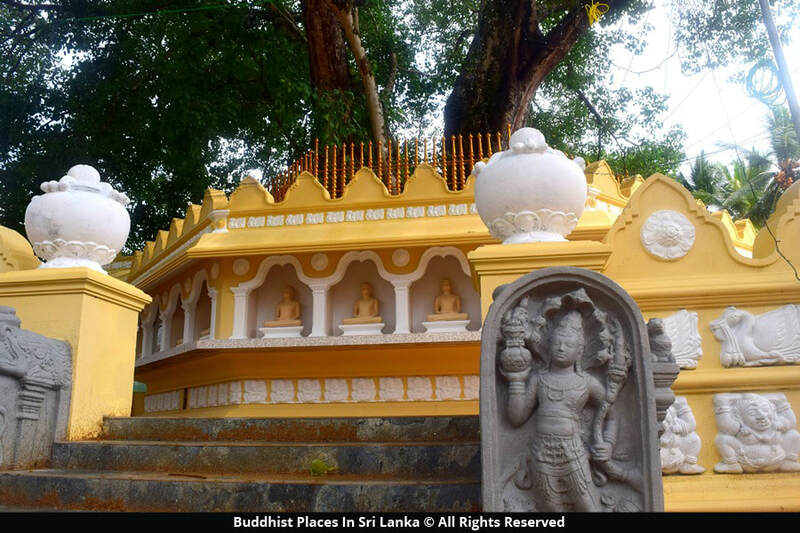 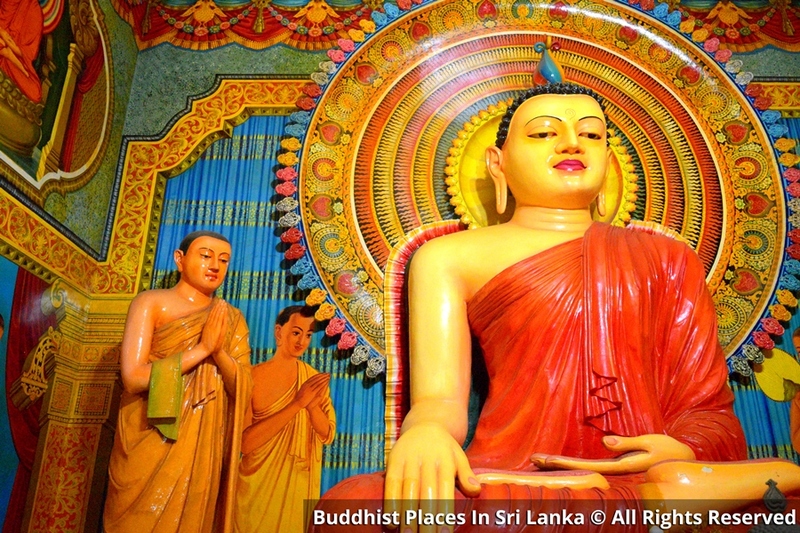 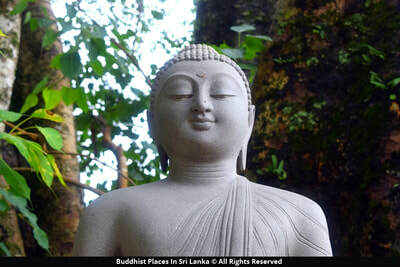 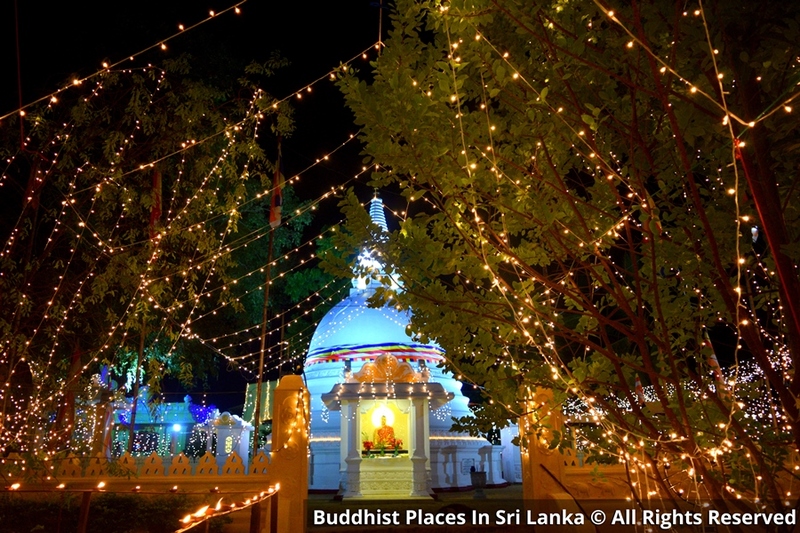 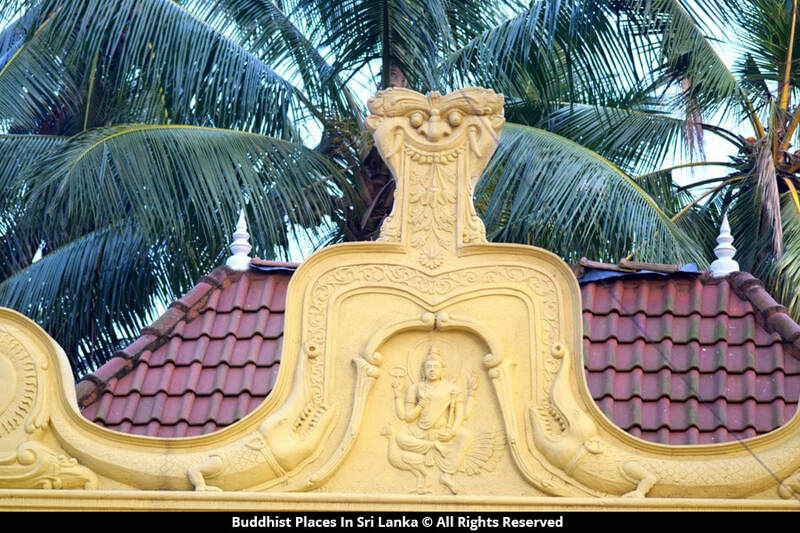 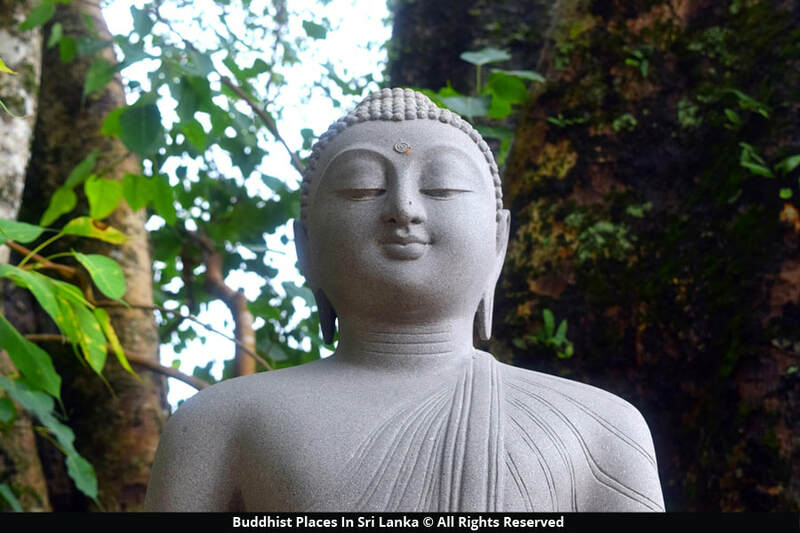 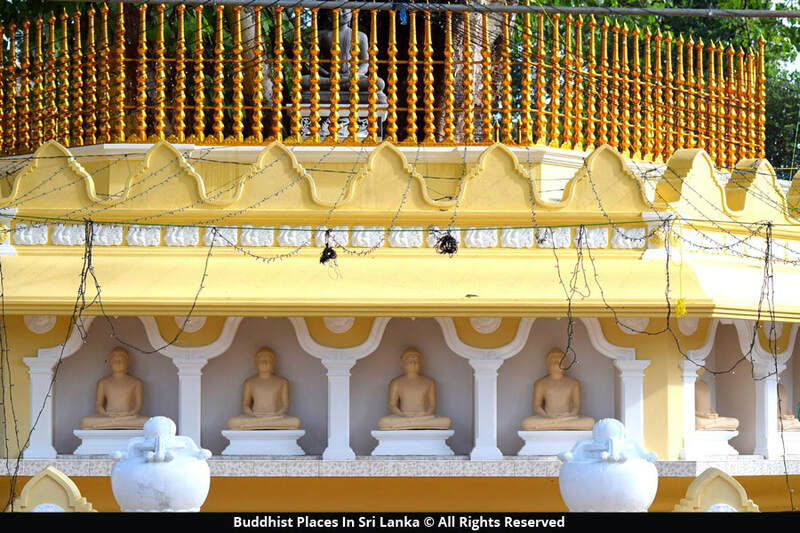 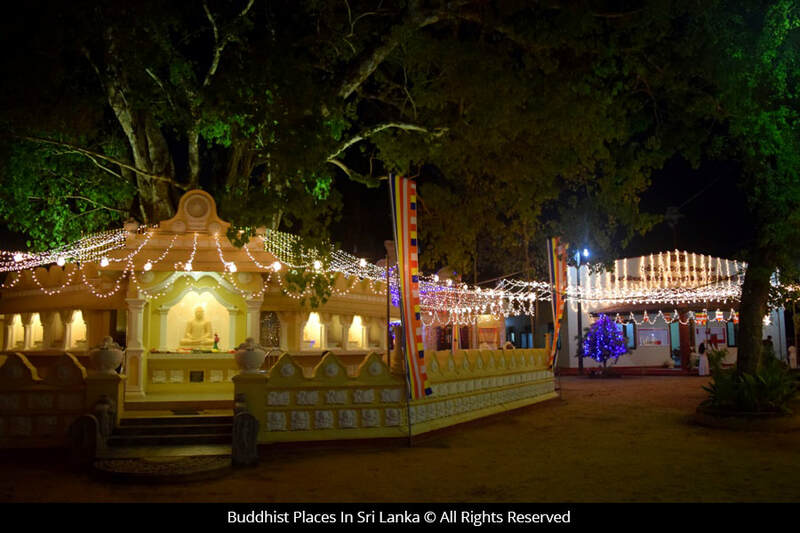 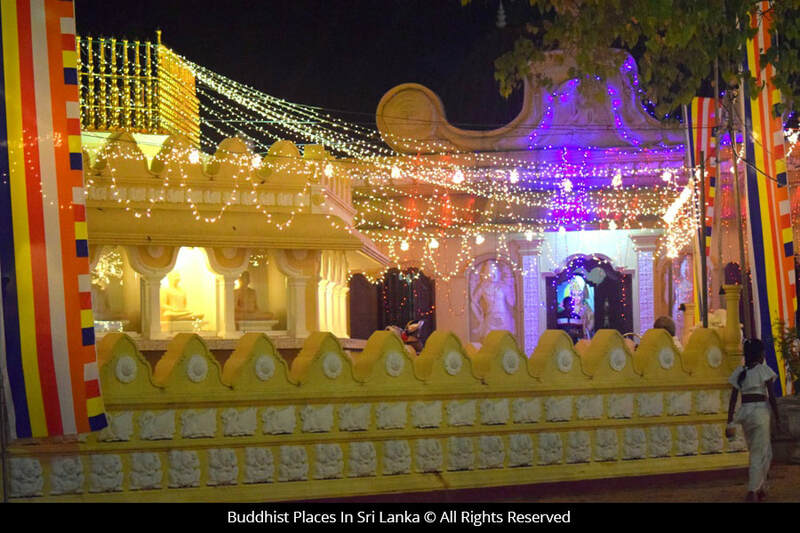 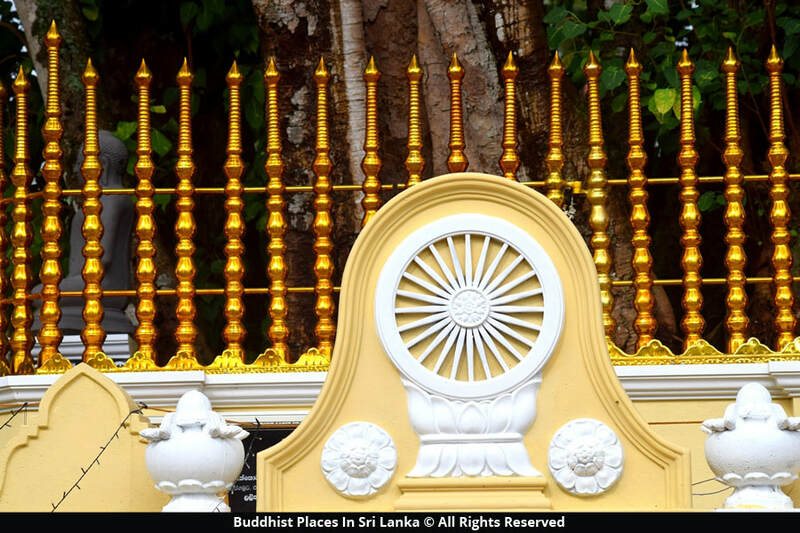 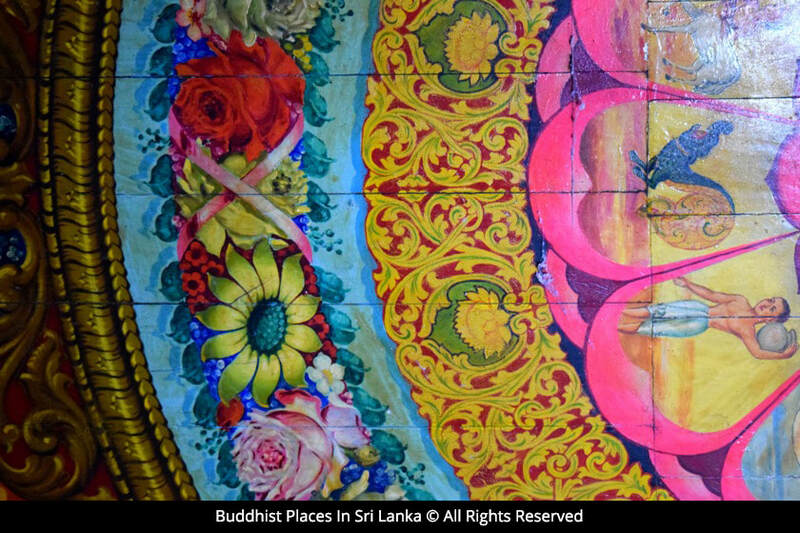 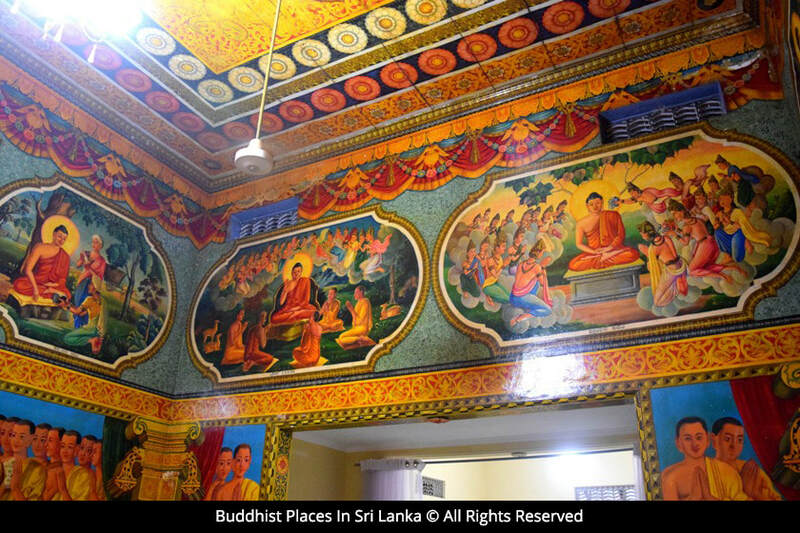 Paramadharmawardhanarama Buddhist Temple first came into being in 1929 in the picturesque Boralesgamuwa as a result of the relentless determination and commitment of the inhabitants of Raththanapitiya and Egodawatta townships. 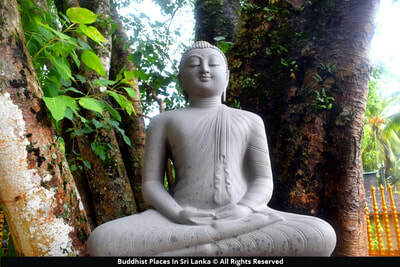 The fact it's tranquil environs with an increased calming effect on whoever sees it, endorses the sacred and serene beauty of the land of whose documented history runs back more than six hundred years. 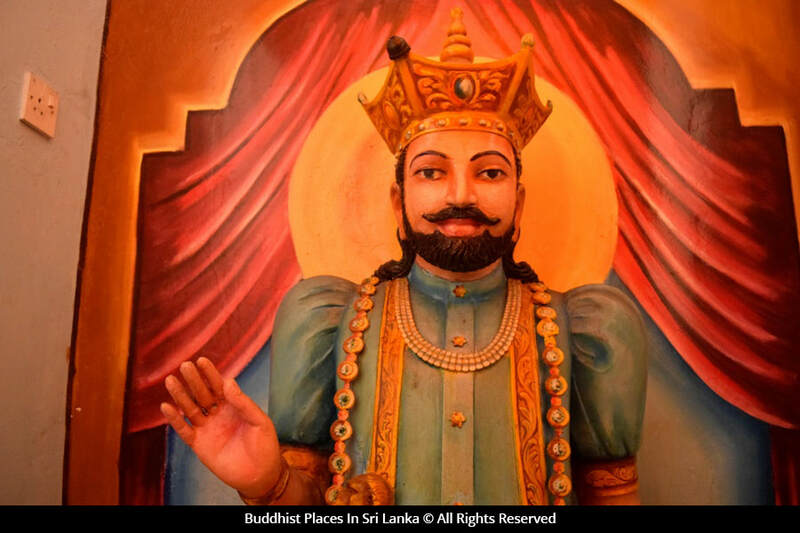 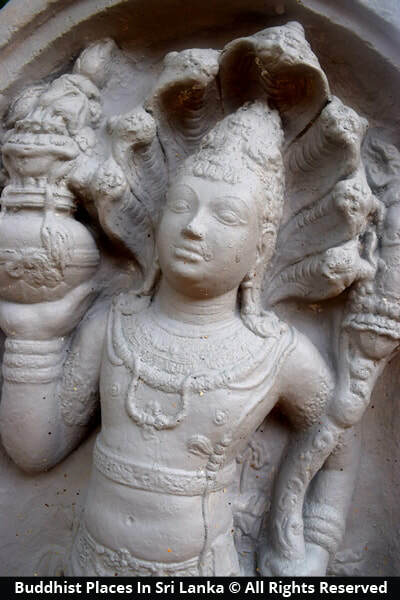 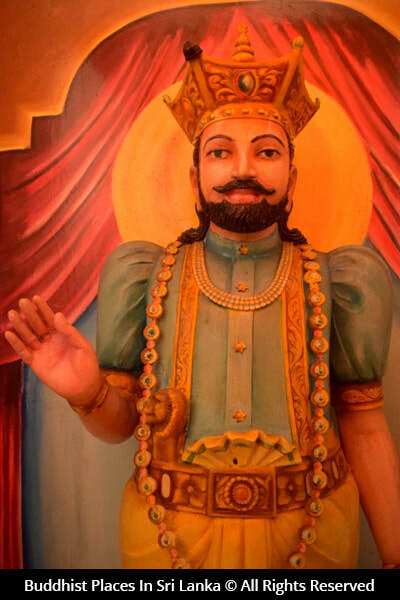 During the time of King Parakramabahu - the sixth, of Kotte, the armoury and other warring equipment together with the soldiers to fight the war in Jaffna had come from this area. 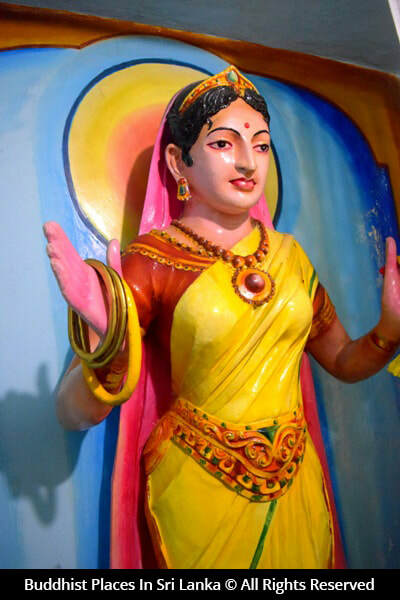 Thus, its name back then had been "Bala-Res-Gama" colloquially coined term, meaning "The Power Base". 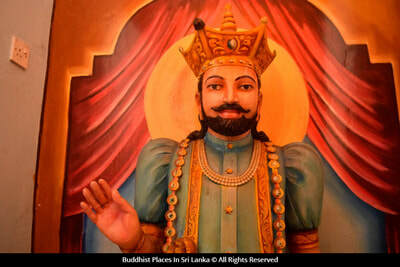 After the war, King Parakramabahu the sixth of Kotte became the last glorious victor uniting Sri Lanka, to enter the annals of history. 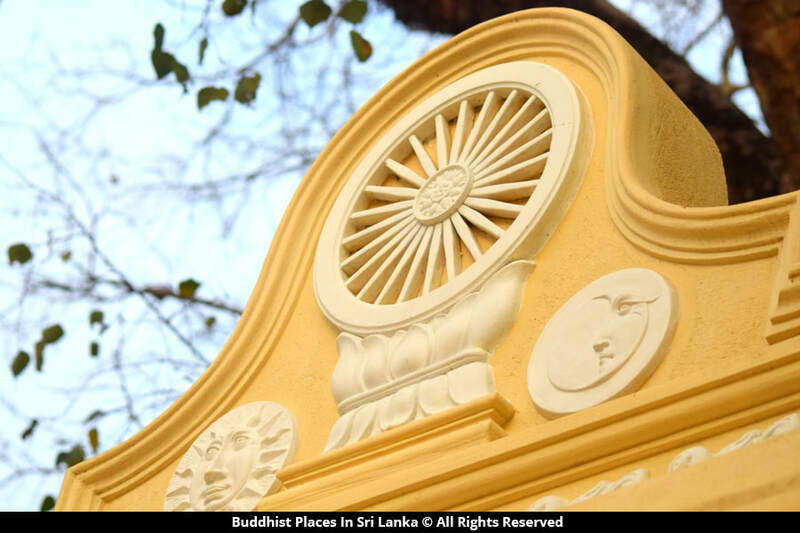 In light of the contributions made by its people, the king built Buddhist shrines and pagodas (stupas) to propagate Buddhism and developed paddy cultivation and agriculture to reach self sufficiency. Paramawardhanarama temple was also created during these important historical times to mark the sacred land of a great victory. 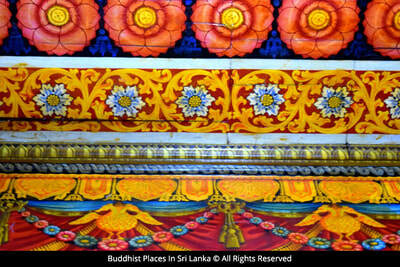 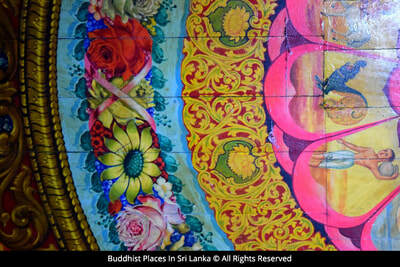 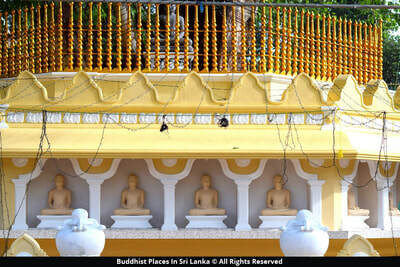 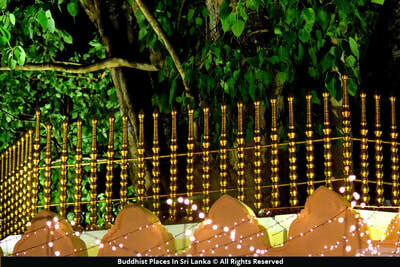 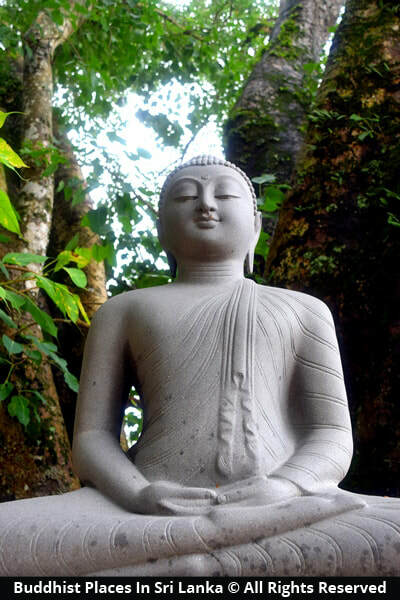 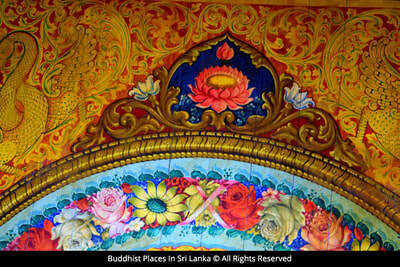 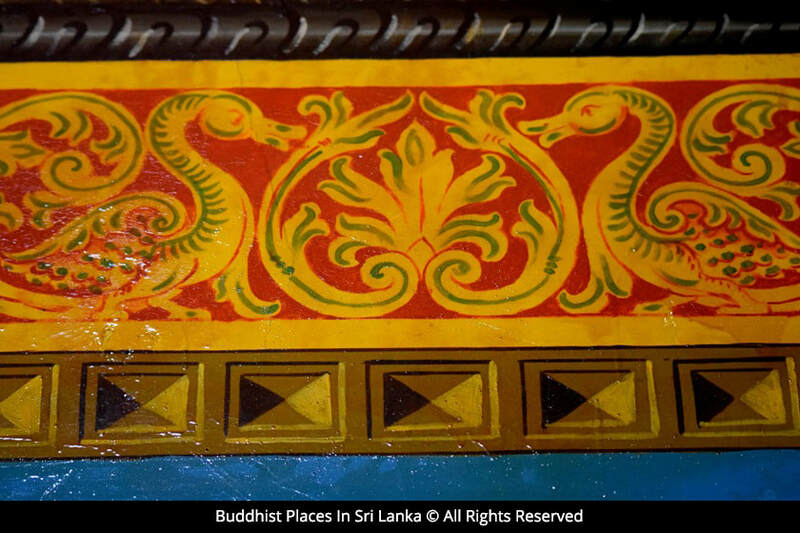 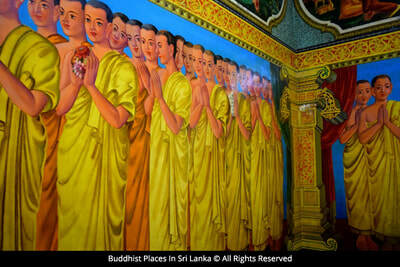 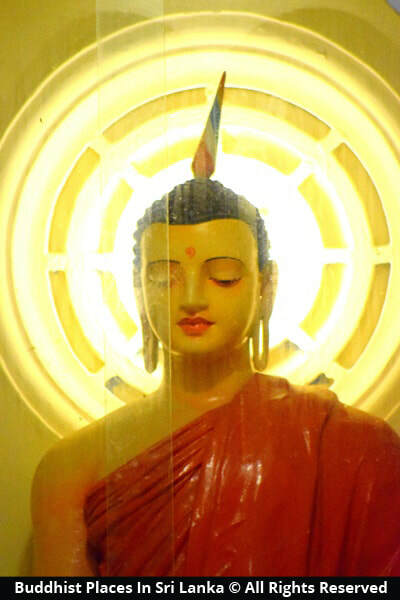 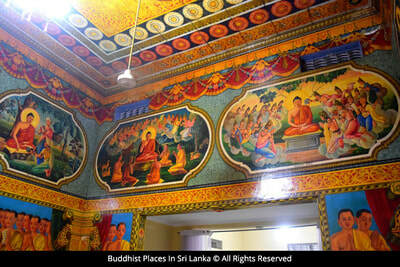 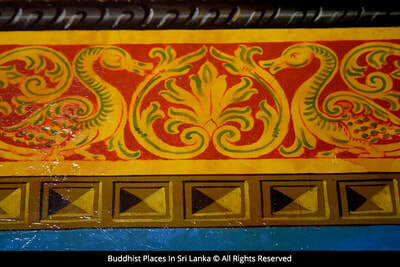 It is situated amidst many other Buddhist shrines, dagobas, sites of historical interests and scenic beauty. 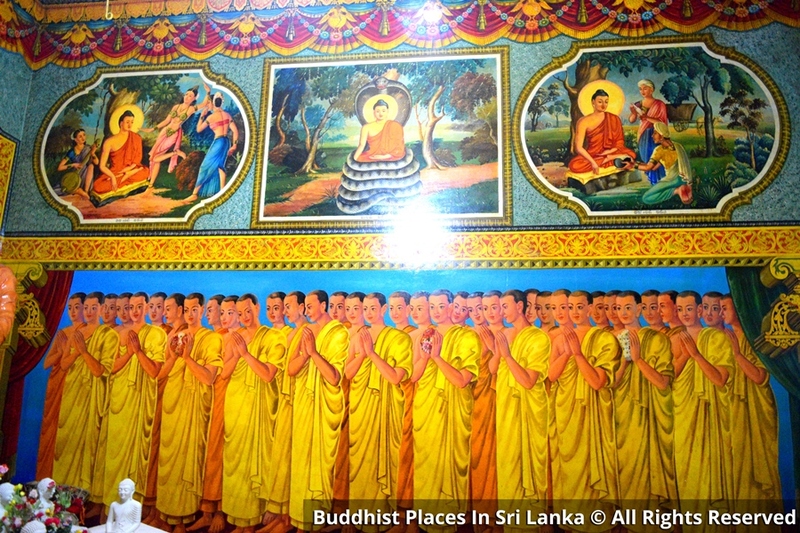 For instance in one direction there is the Pepiliyana Sunethradevi Rajamaha viharaya together with its training school for novice monks. In another direction there is the famous Pillawa Bo Tree of historic value, The Bellanvila Rajamaha Viharaya (Great temple of Bellanvila), widely stretching scenic Pillawa paddy fields and the exotic Aththidiya Bird Sanctuary, well known for its rare and endemic bird species. 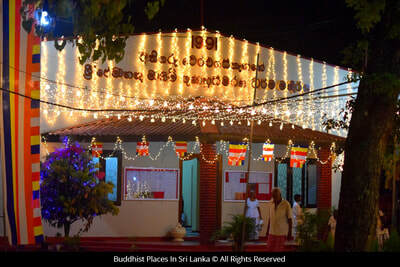 Then in another direction there is the Embillawatte Paramadhamma Nivesa Pirivena (Training school for novice Buddhist monks). 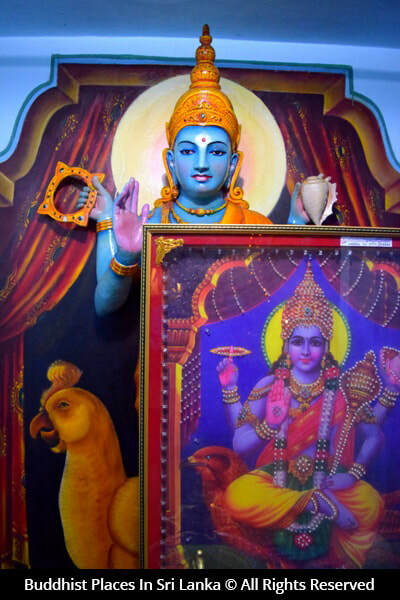 To say that the Paramadharmawardanarama Temple is remarkably situated amidst all these places of interest is, no exaggeration. 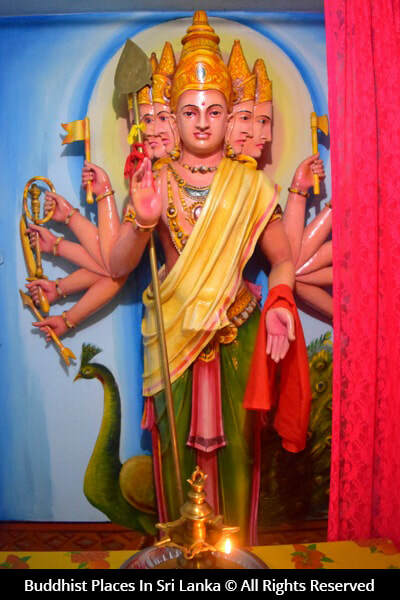 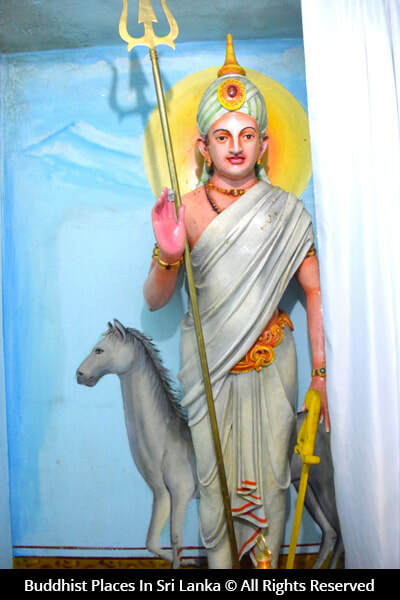 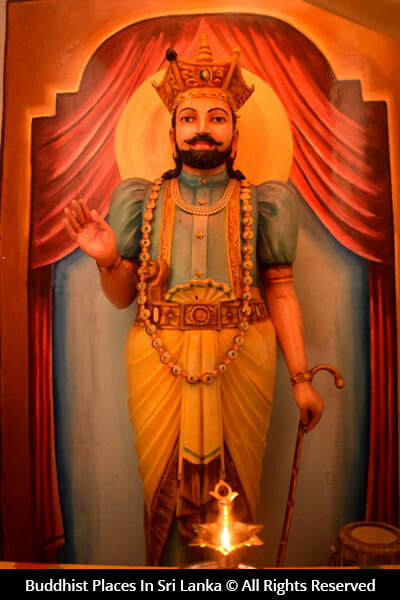 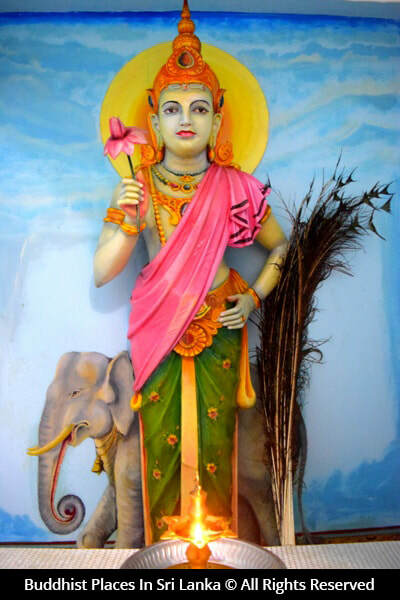 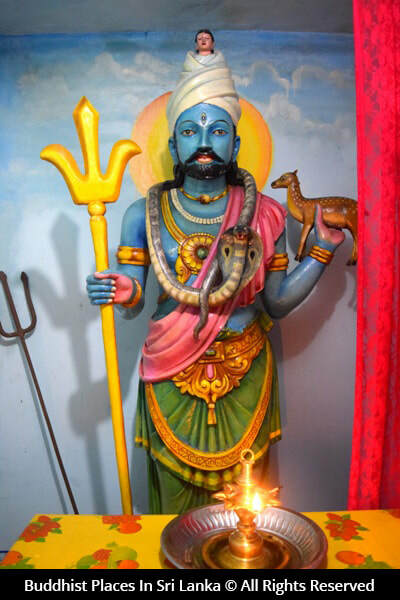 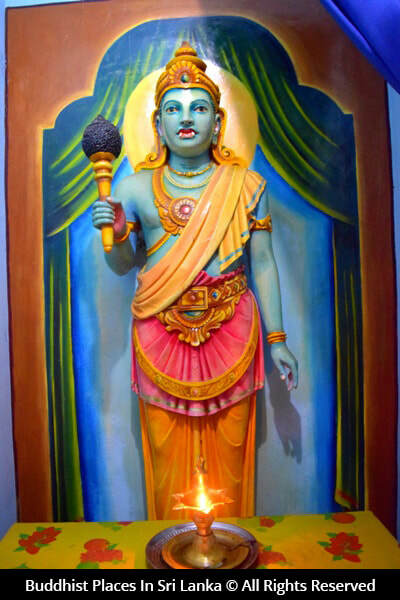 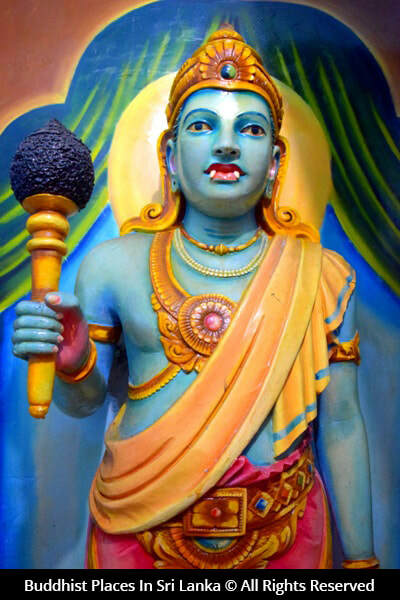 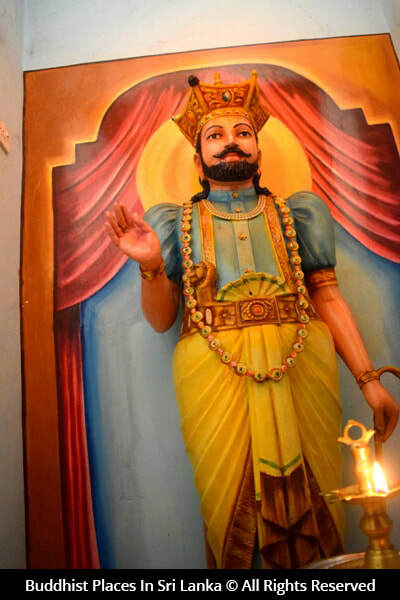 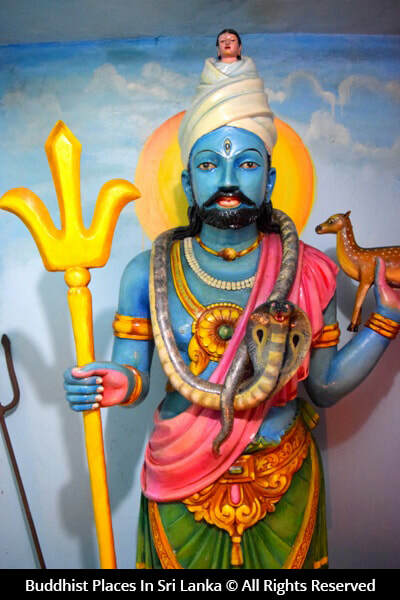 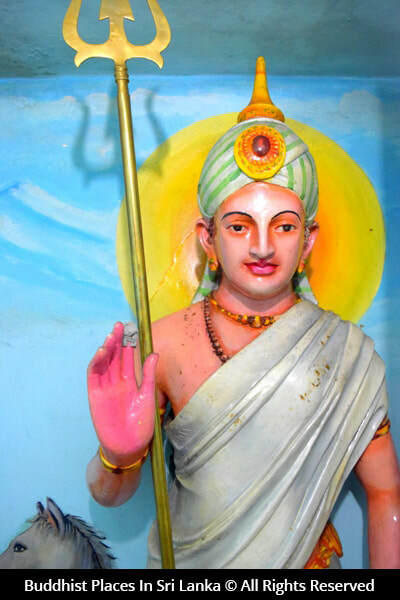 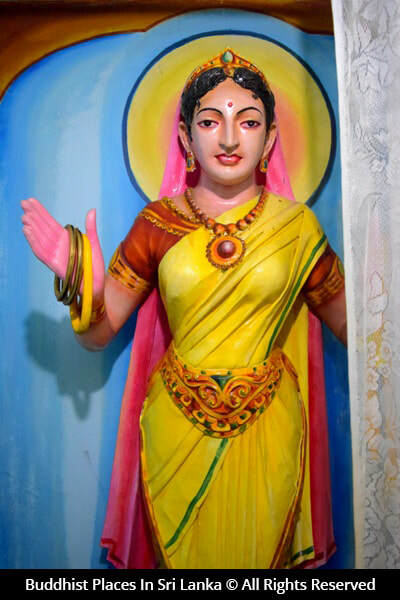 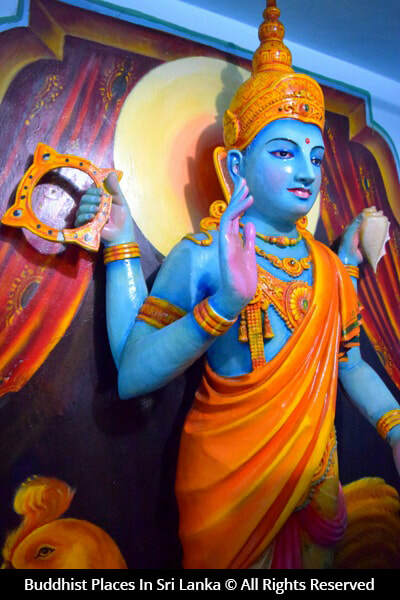 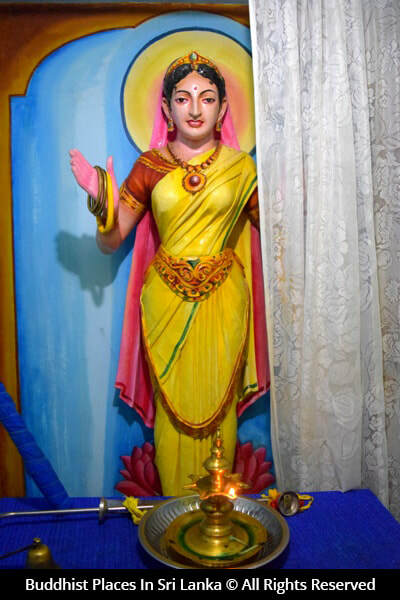 Don Suvaris Ramanayaka - hailing from Raththanapitiya and a deputy police headman by profession, desired to perform a "Katina cheevara puja" (a very meritorious religious ceremony done only once a year). He wanted to have this in a newly built temple house in one of his own lands there just for the purpose. 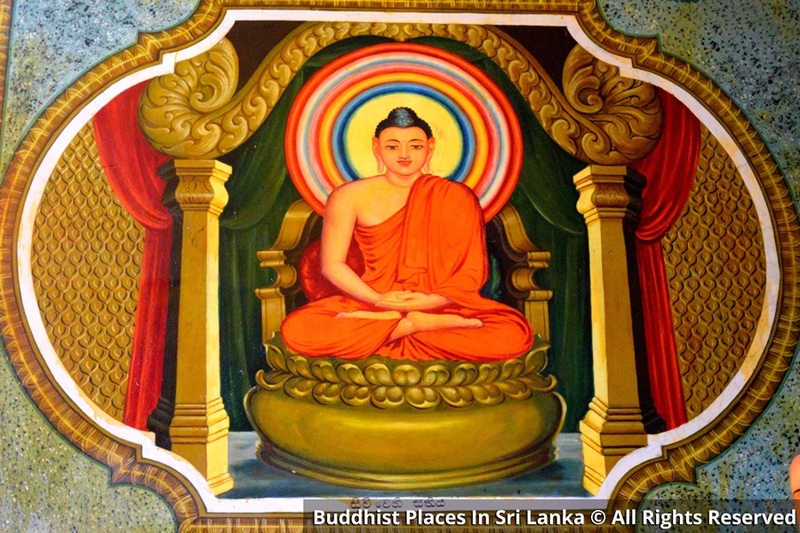 Upon hearing it the chief prelate, most venerable Lenadora Shri Dhammarakhkhitha thero of Paramadhammanivesa pirivena agreed most graciously to appoint a student of his, most venerable Dr. Dankande Upatissa to do the needful. Overjoyed, Police headman Don Suvaris started construction work immediately on the very next day and completed building the temple house in a single month. 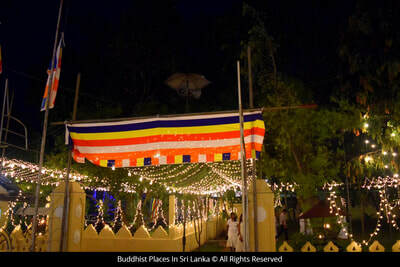 Then on the evening of 14th of July 1927, which was the full moon day he escorted most respectfully the said priest to begin his rainy season formalities. 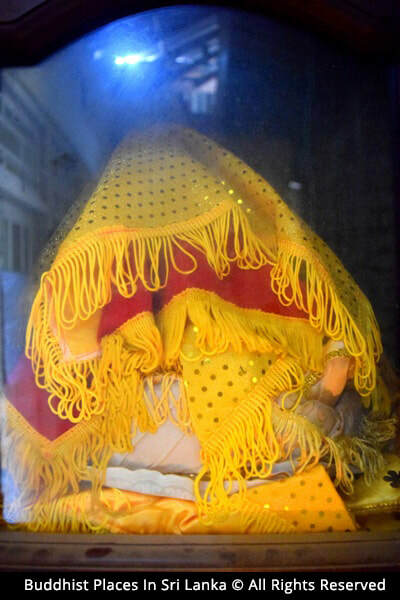 These include observation of precepts prescribed to most venerable reverend Buddhist monks to follow through all four ensuing months until the "Katina cheevara ceremony" which culminates with the newly sewn robe offered to the said monk. 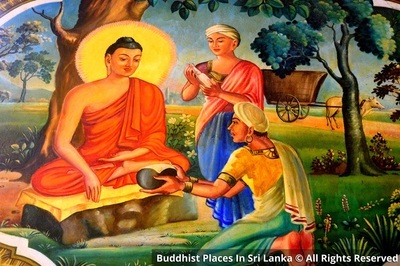 All four essentials prescribed requisites of food, drink, medicine if needed and housing were seen to by Don Suvaris to his heart's desire as wished during this entire rainy season. 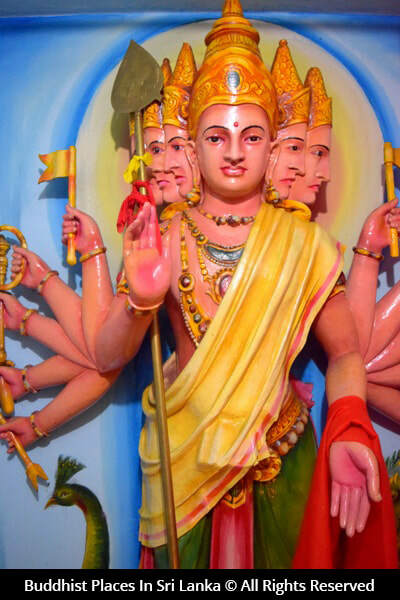 On the noon of 30th October, with the Katina cheevara ceremony duly performed saw to the culmination of the rainy season austerities. 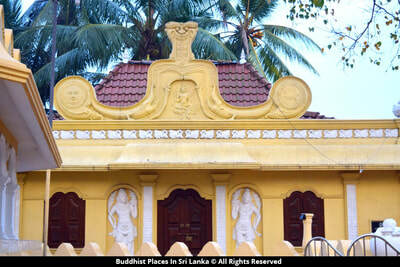 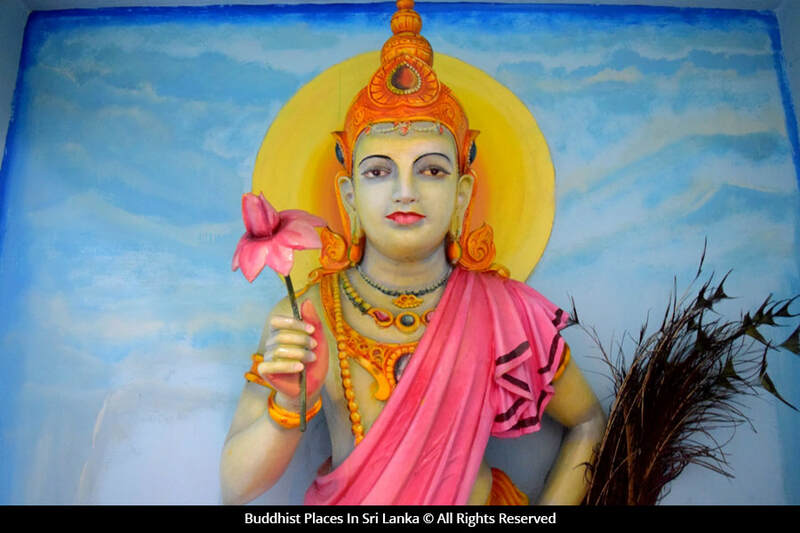 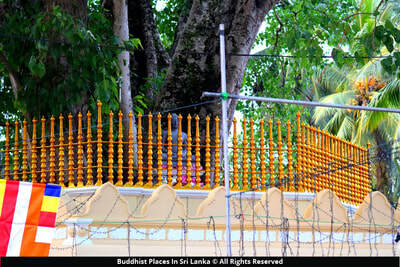 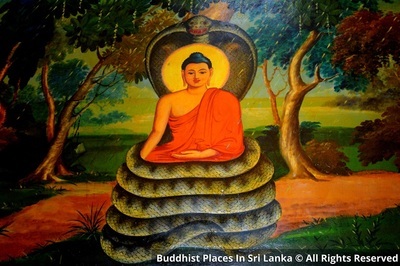 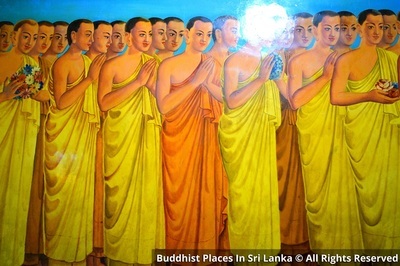 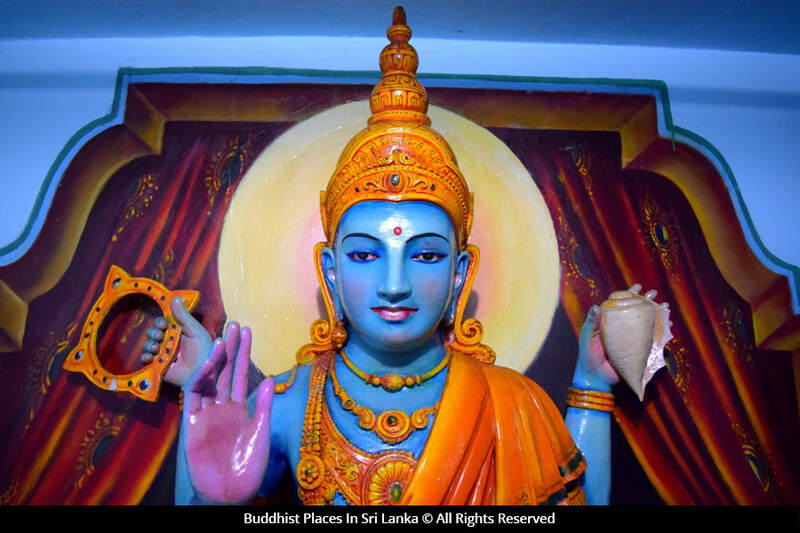 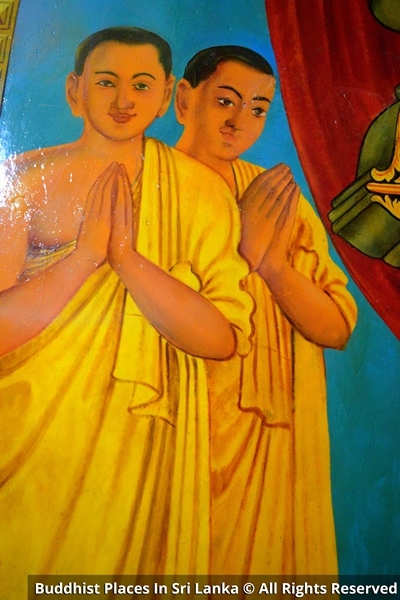 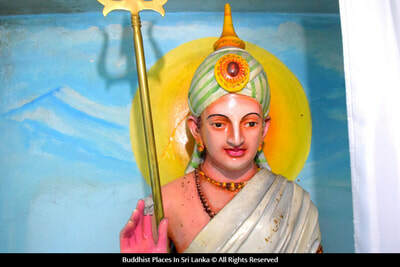 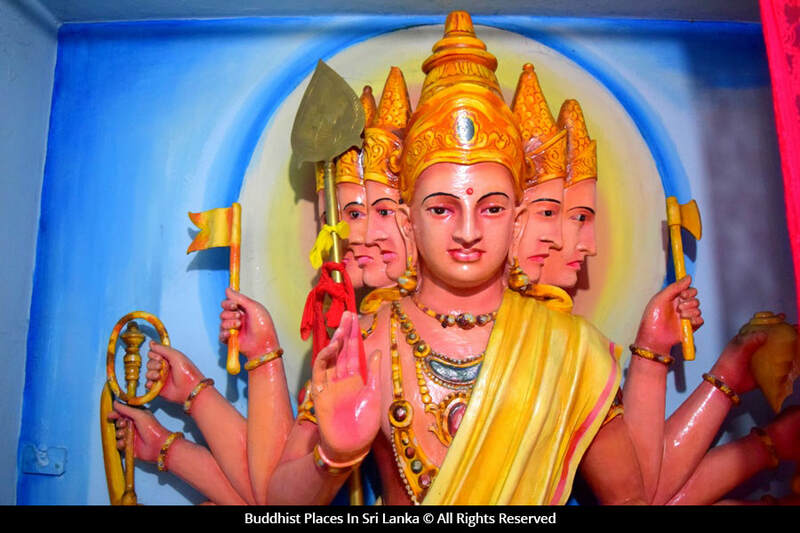 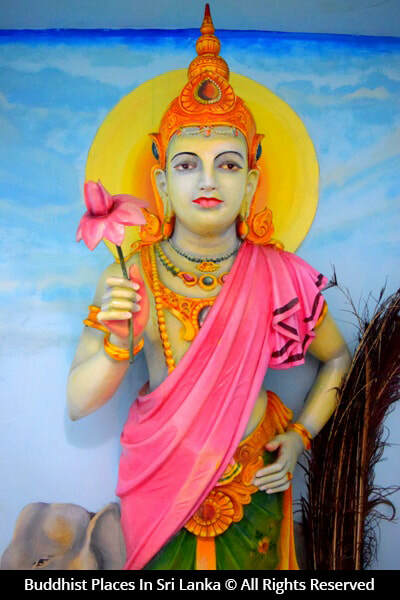 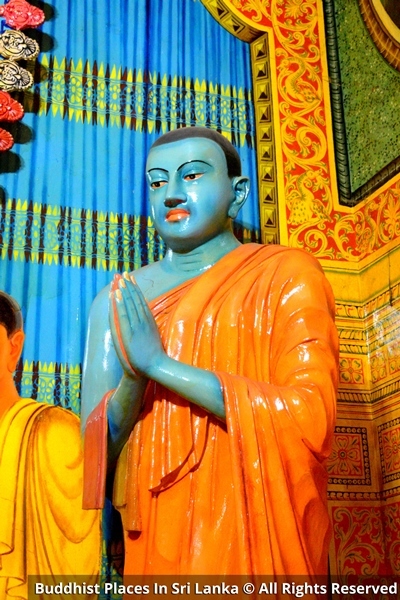 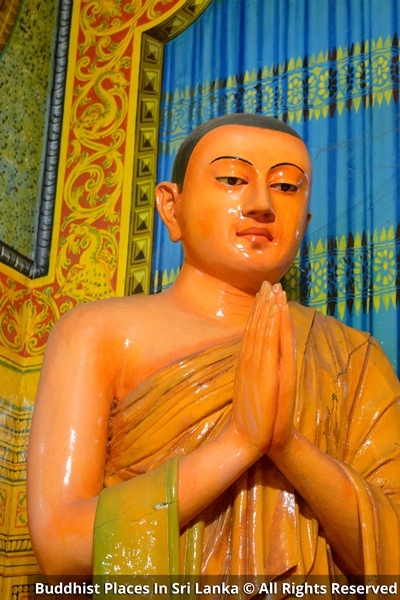 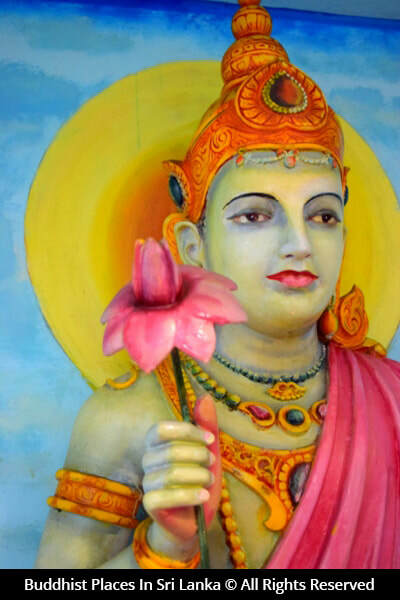 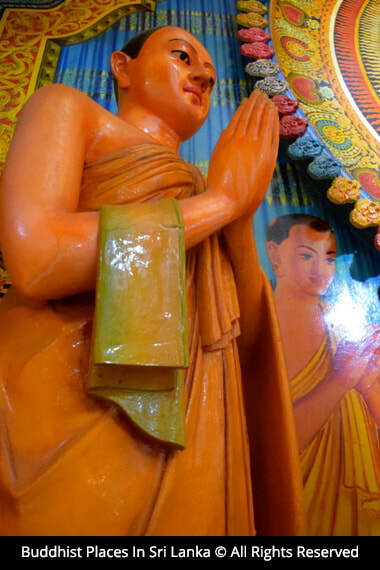 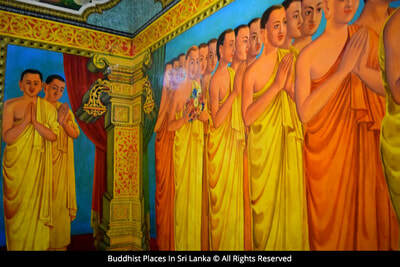 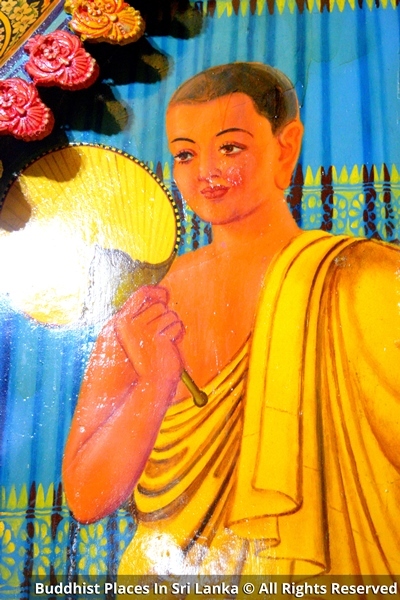 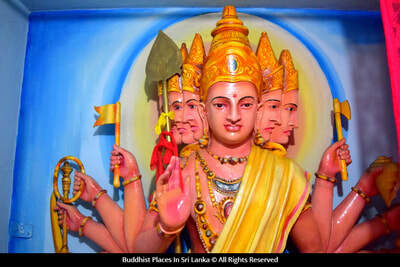 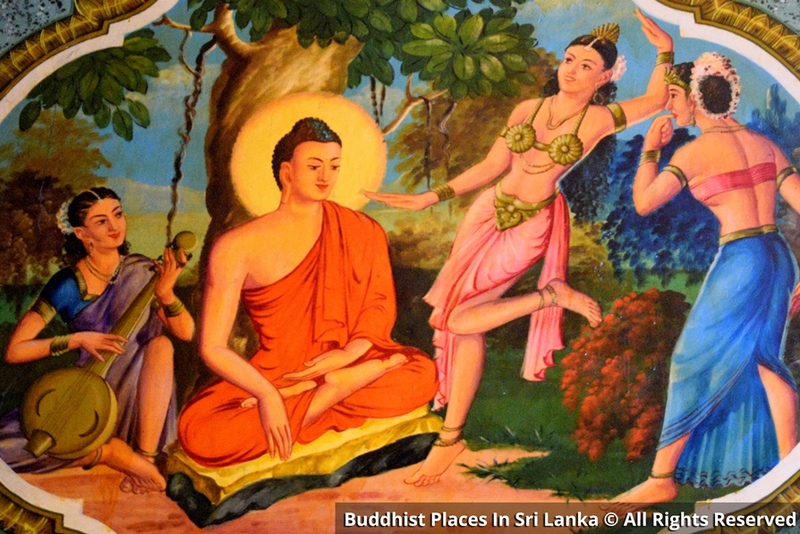 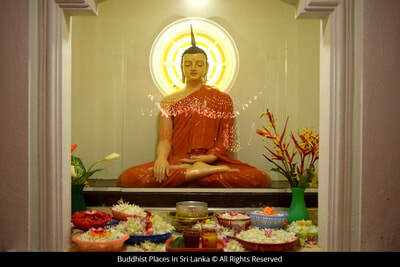 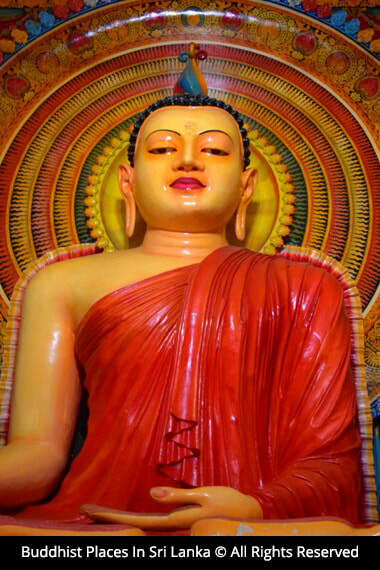 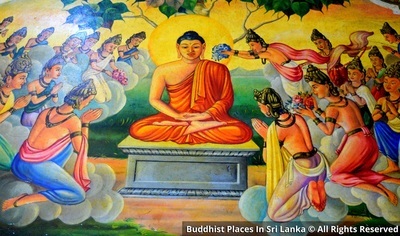 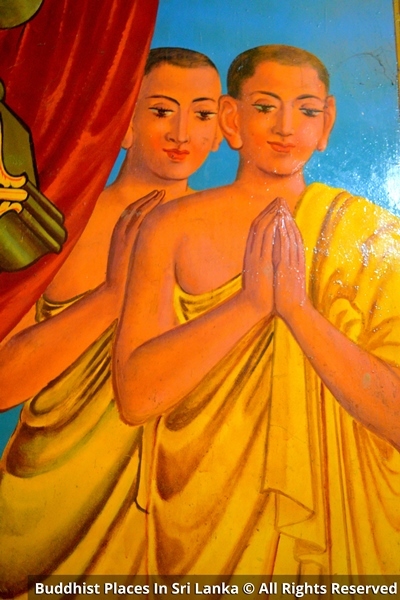 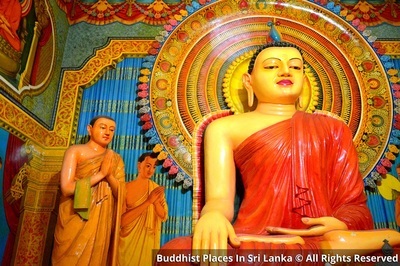 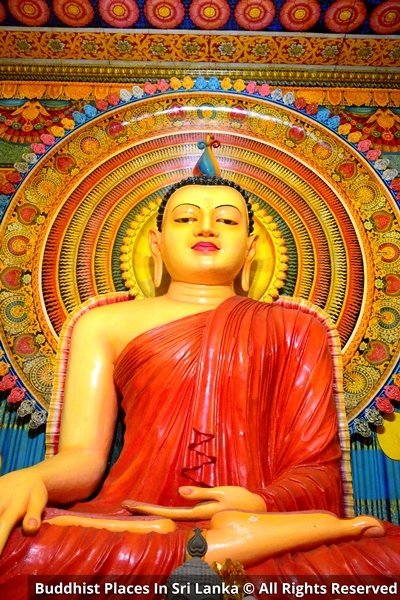 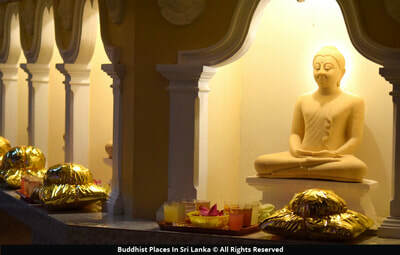 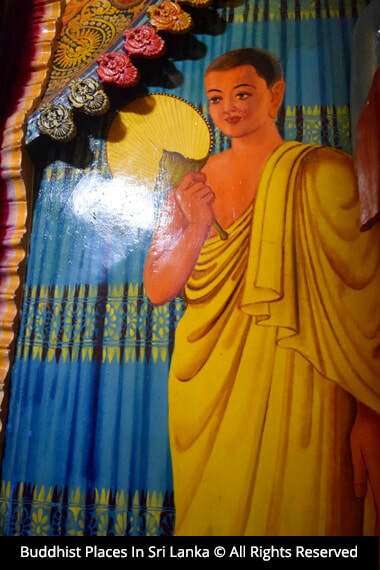 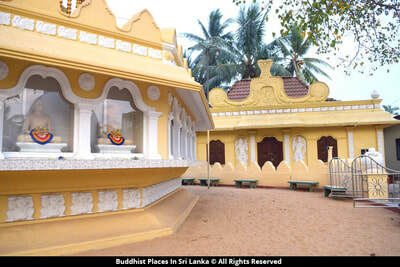 The most venerable Dankande Upatissa thero continued to live in the same temple house. 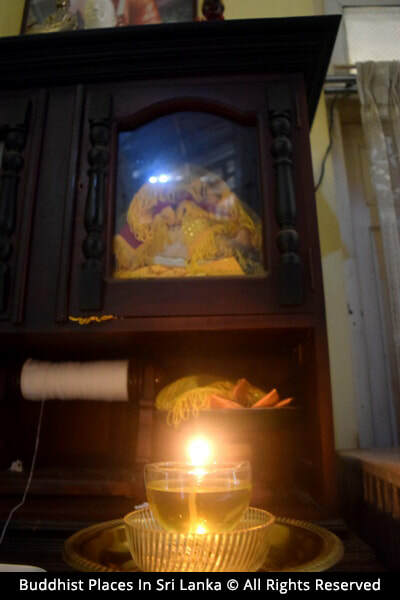 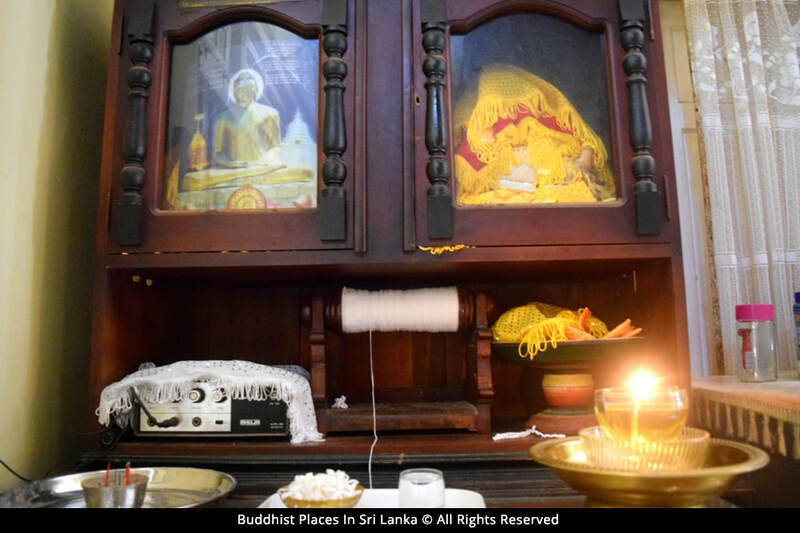 Two years later on the 7th of June, 1929 most venerable Veralugasthanne Pemananda a novice monk and a dear student of Matale sect chief prelate and head of Nigrodharama temple at Nagolla, was said to have arrived to reside in the same temple house. 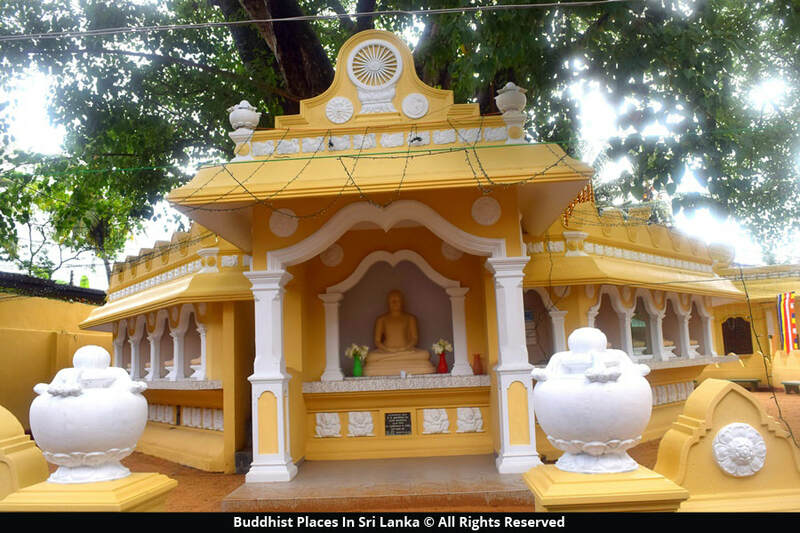 During this time, the "Temple Alms Committee" of the above temple house bought another block of land from Don Suvaris with the intention of building a new complete temple. 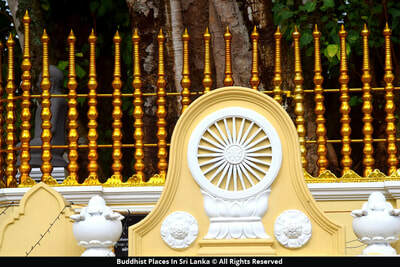 In 1931 on the 26th of January, the land got surveyed with demarcating columns set at an auspicious time. The deed prepared on 2nd March same year. 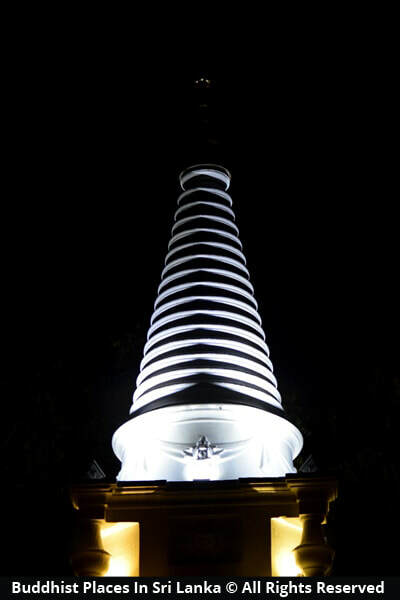 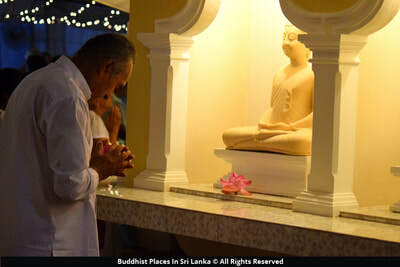 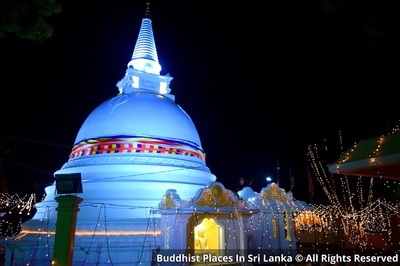 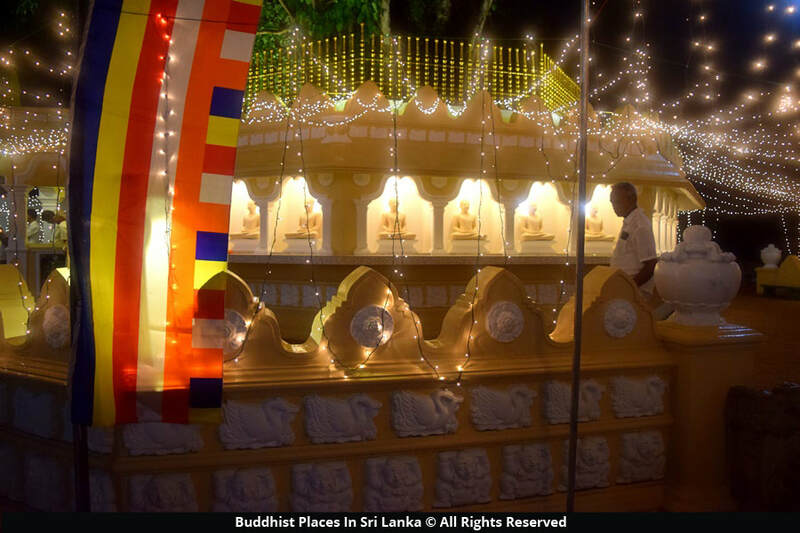 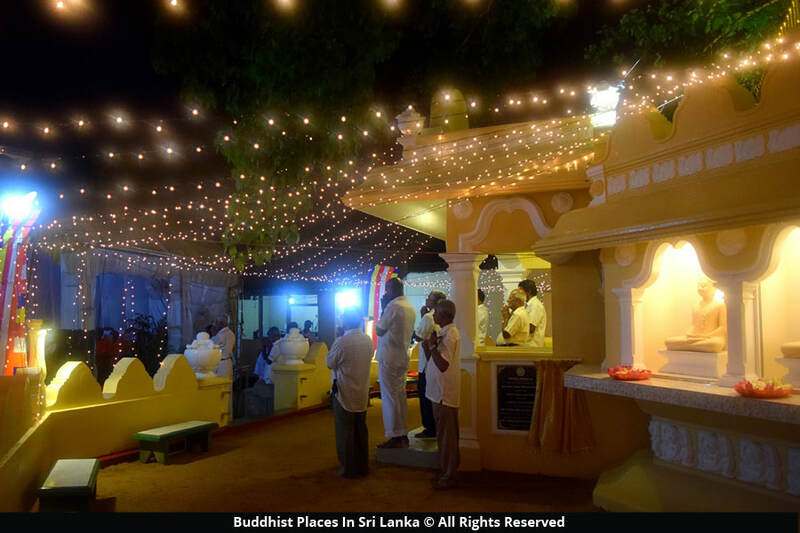 Later on the 27th of July this newly constructed temple was inaugurated with a traditional ceremony presided over by the chief prelate of the training monastery most venerable Lenadora Dhammarakhkhitha Thero. 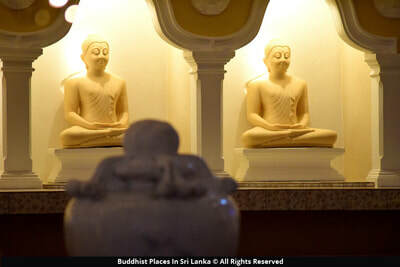 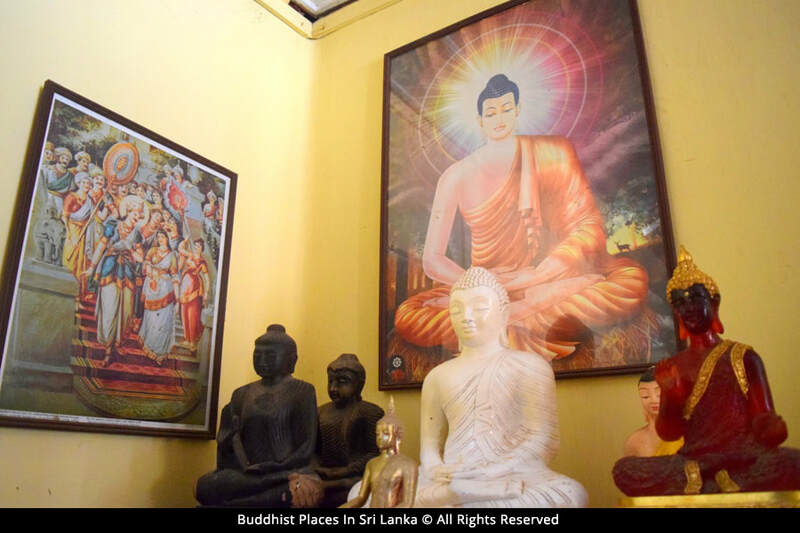 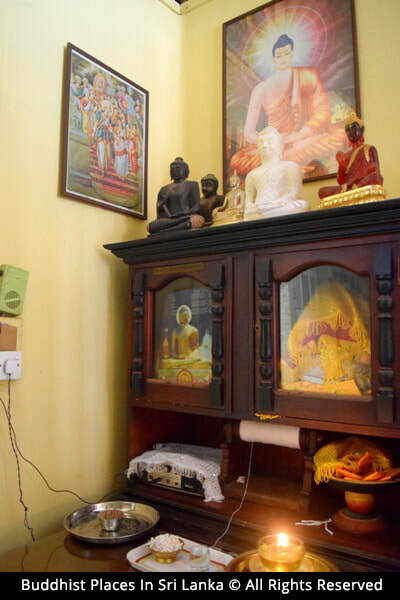 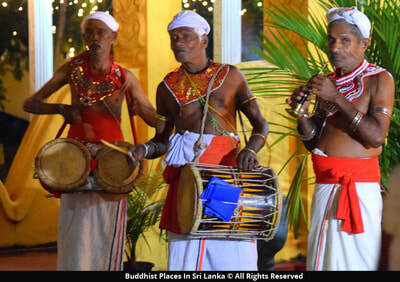 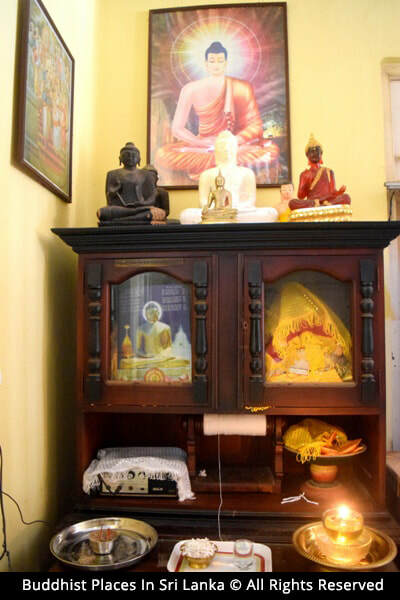 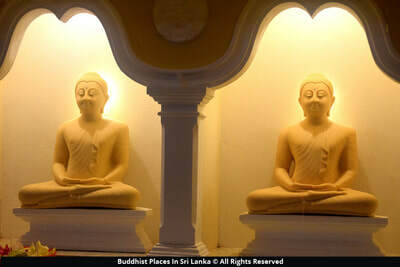 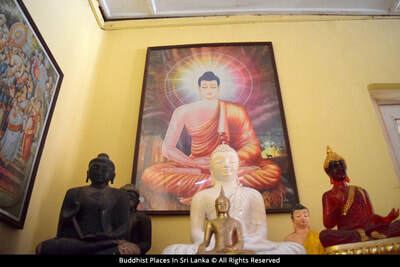 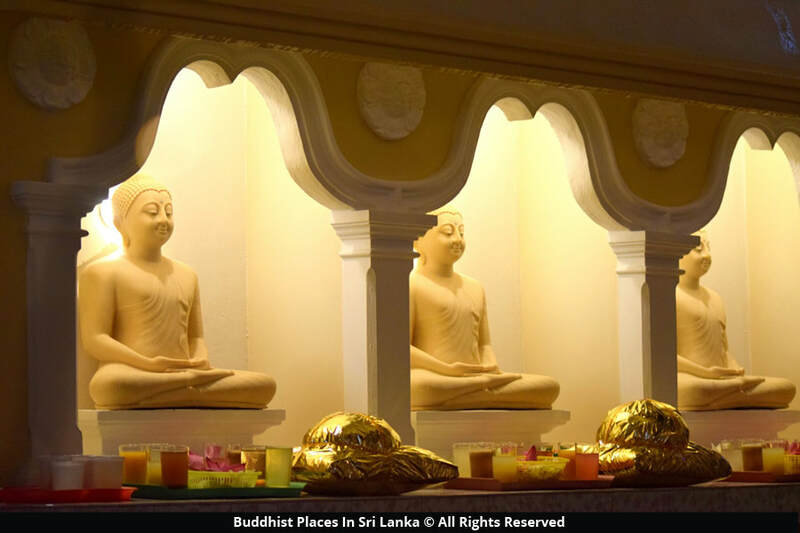 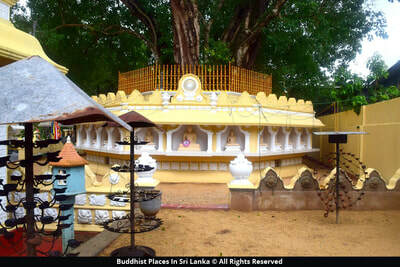 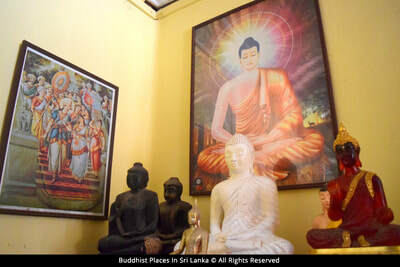 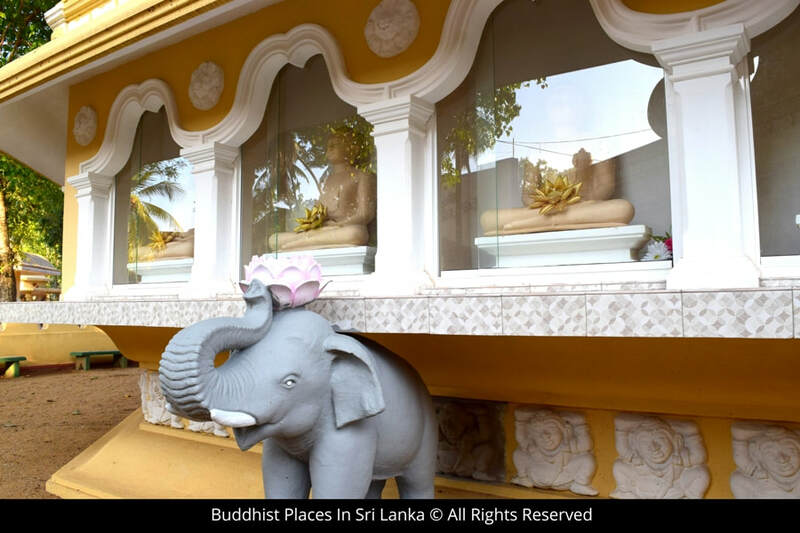 At the same time the most venerable Dr. Dankande Upatissa and most venerable Veralugasthanne Pemananda Theros moved to live there permanently, leaving behind the temple house constructed by Don Suvaris Ramanayake. 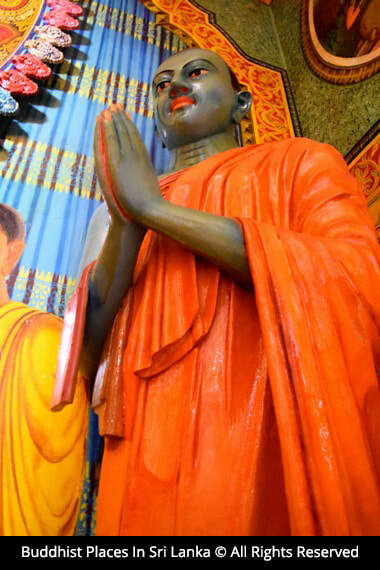 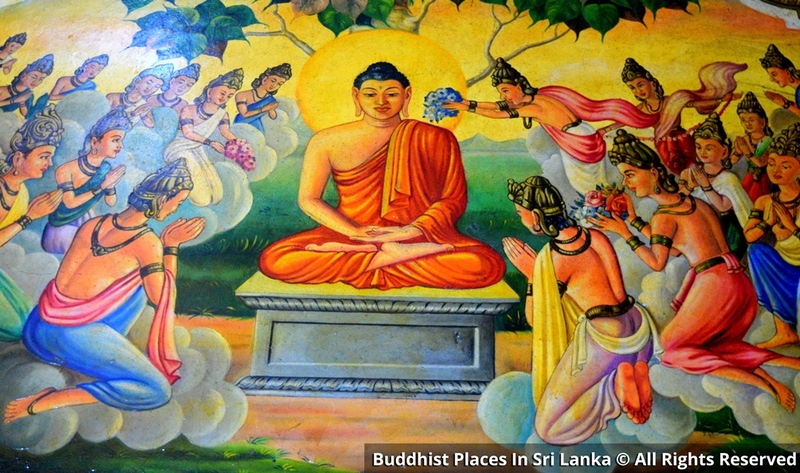 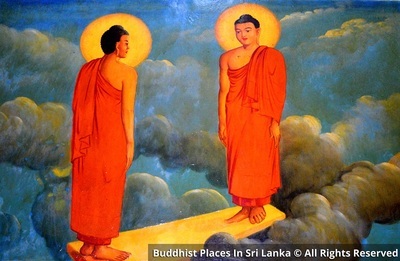 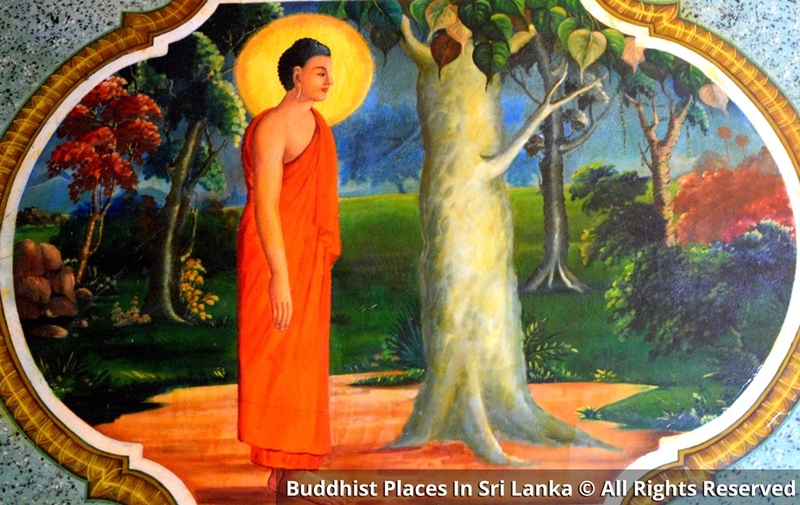 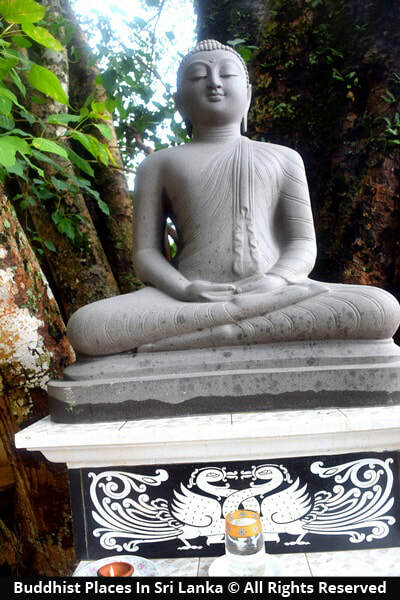 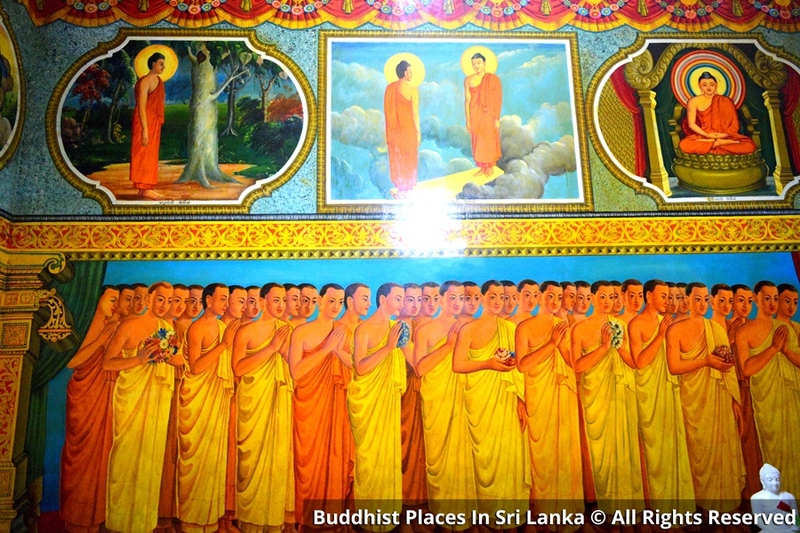 On the 30th of July 1931, on the invitation of both Egodawatte and Raththanapitiya laymen, the most venerable monks observed their first rainy season formalities in there. 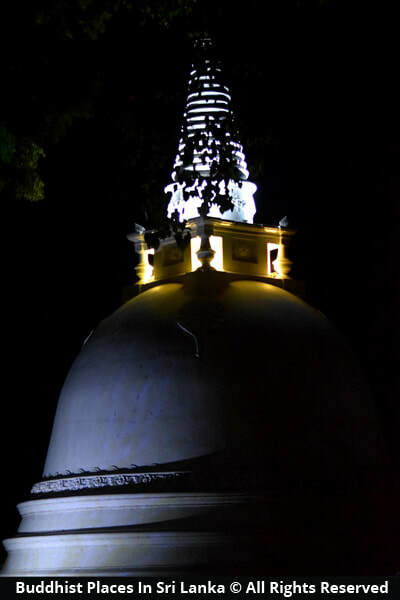 The temple was named "Paramadharmawardhanaramaya" by the laymen with the blessings of the most venerable monks on the 17th of February, 1932. 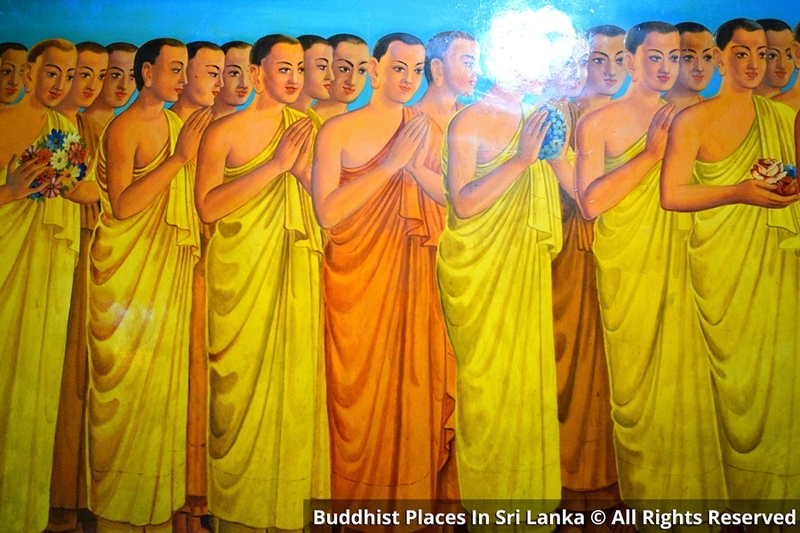 On the 8th of August, 1941 most venerable Dr. Dankande Upatissa thero passed away. 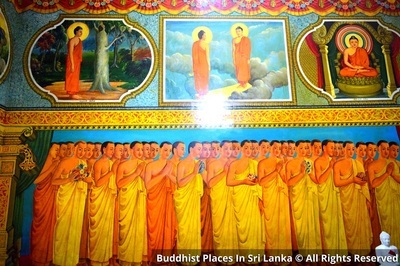 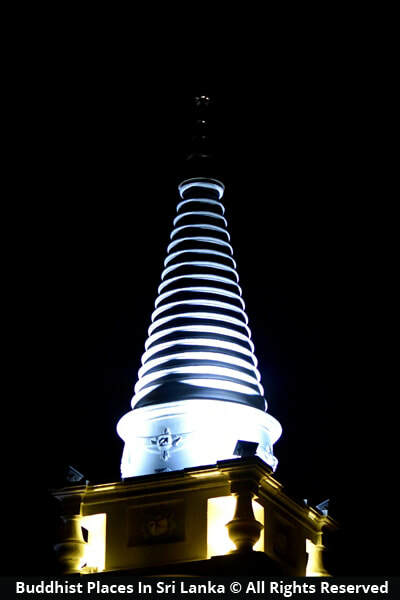 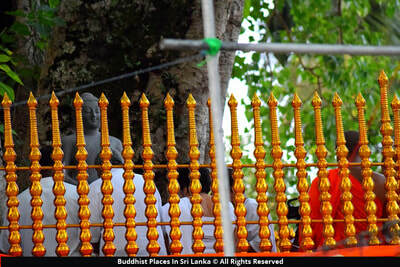 The most venerable Veralugasthanne Pemananda thero assumed duties as the chief prelate of the temple. 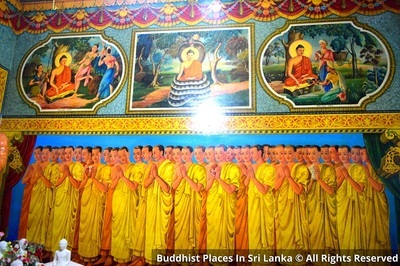 The most venerable monk in his tenure developed the land into a temple complete with all attributes of a full shrine. 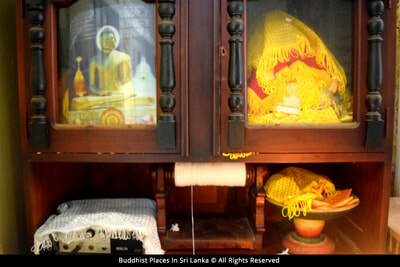 The chief prelate passed away on the 11th February 1978 leaving behind a much grief stricken lay community. 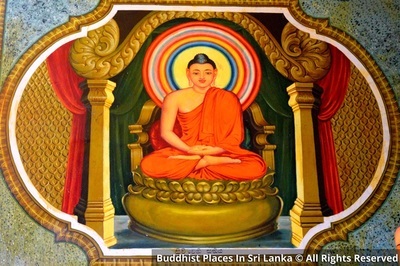 Thereafter the most venerable Veralugasthanne Pangnananda thero became the chief prelate. 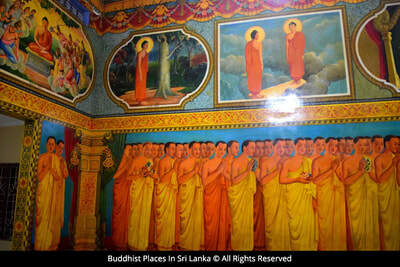 He modernised the temple and performed many a duty pertaining to the order of the monks and the nation. 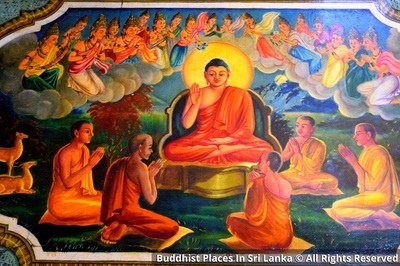 He passed away suddenly on the 24th November 2007. 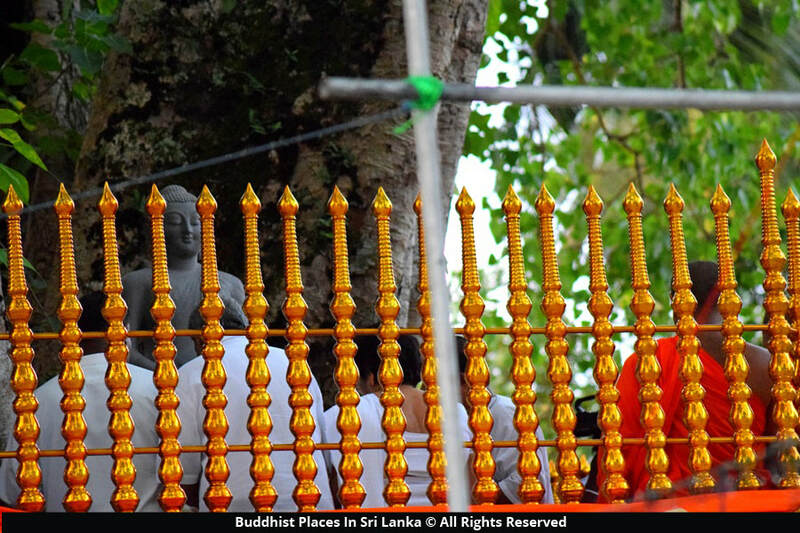 Most venerable Raththota Seelavansa thero has assumed duties as the chief prelate of the temple since then and is continuing to this date.